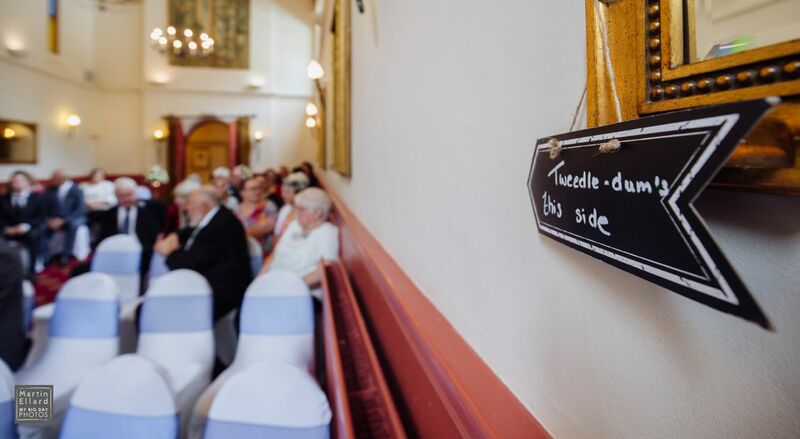 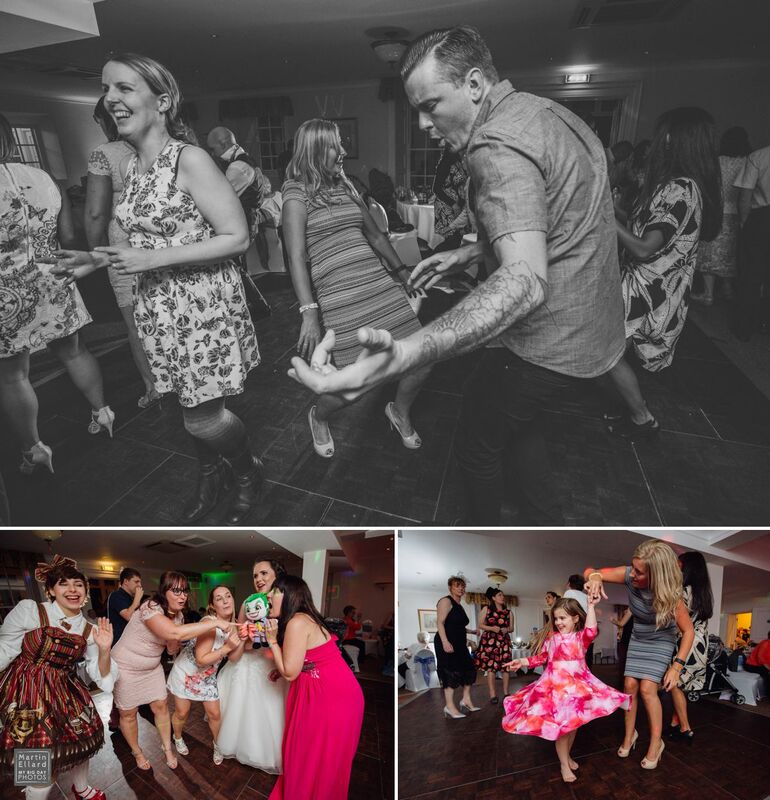 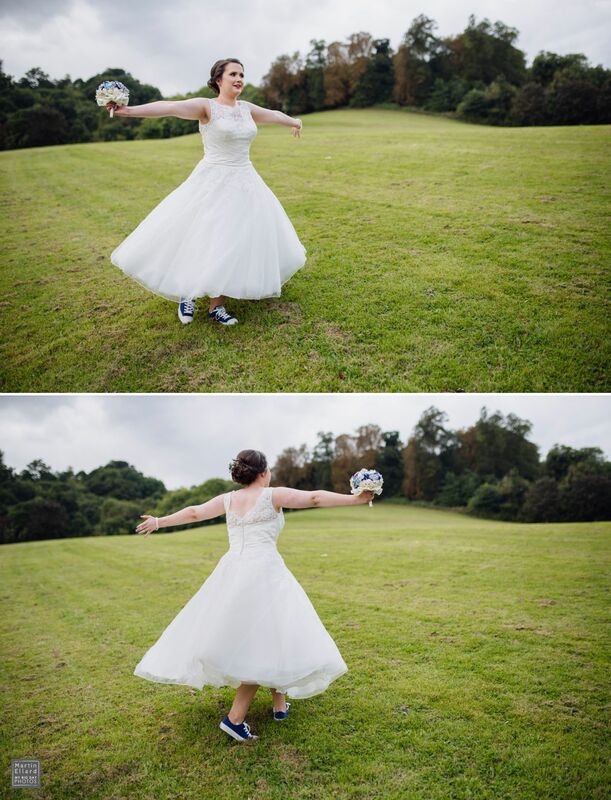 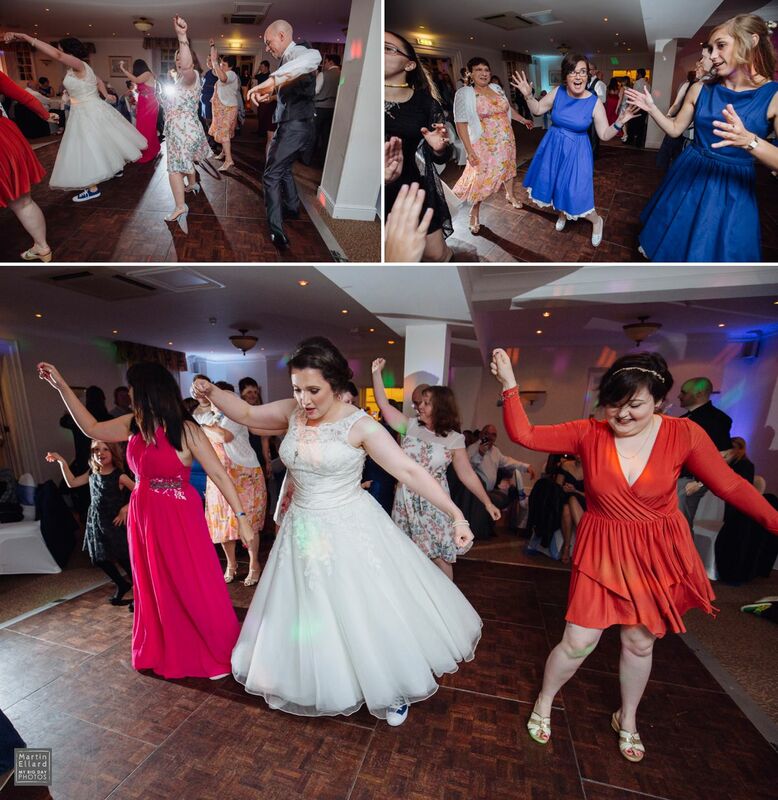 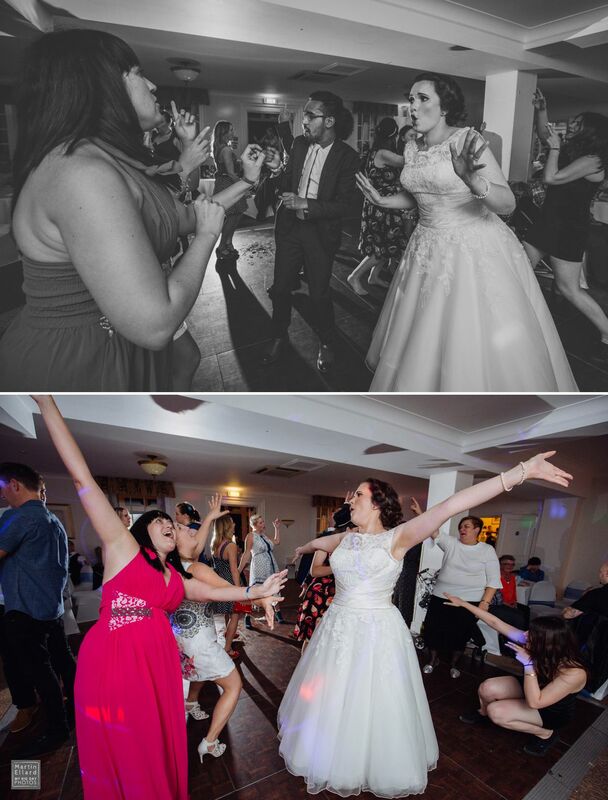 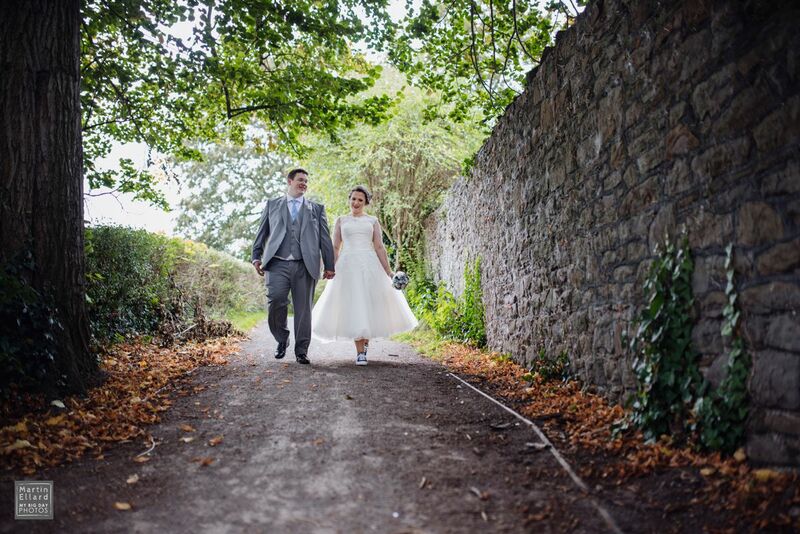 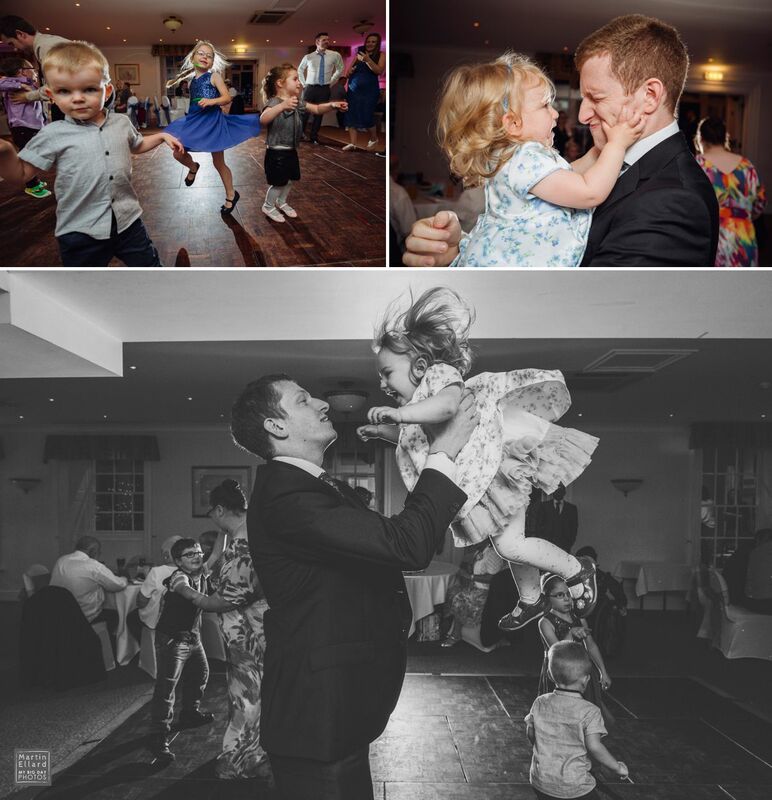 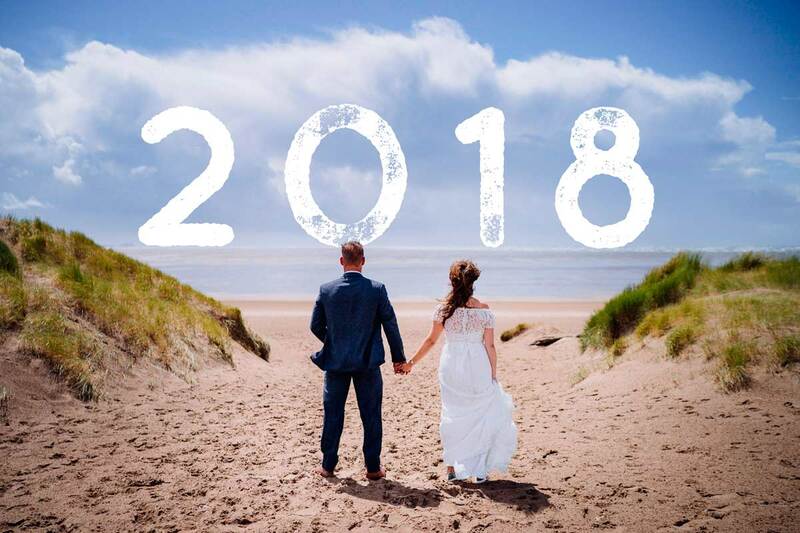 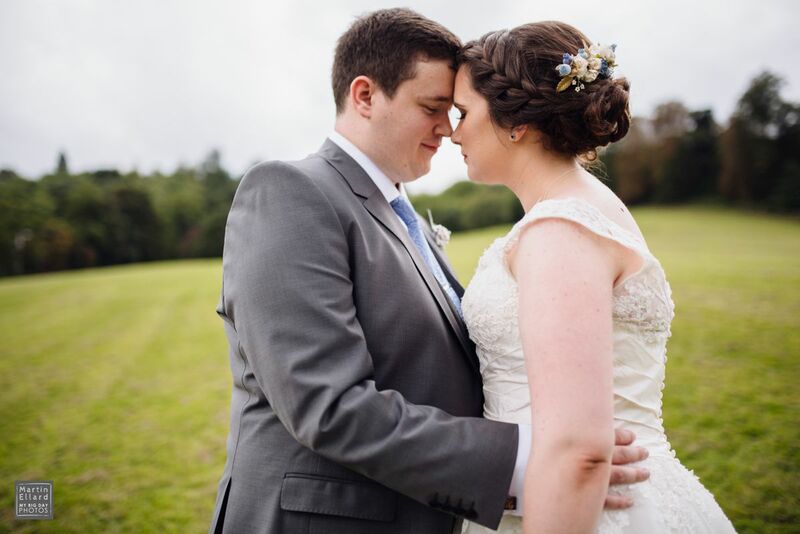 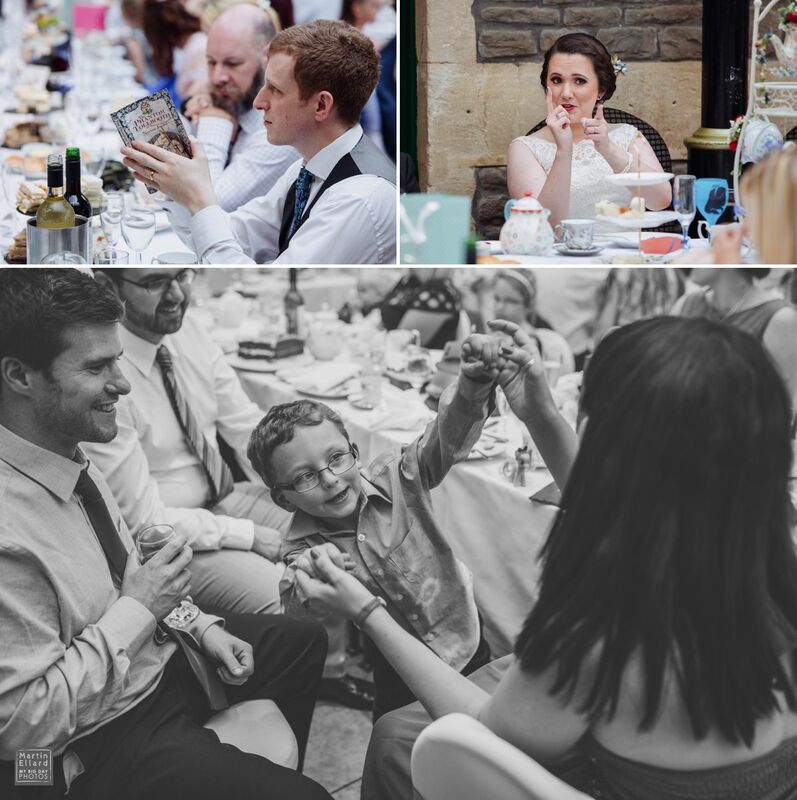 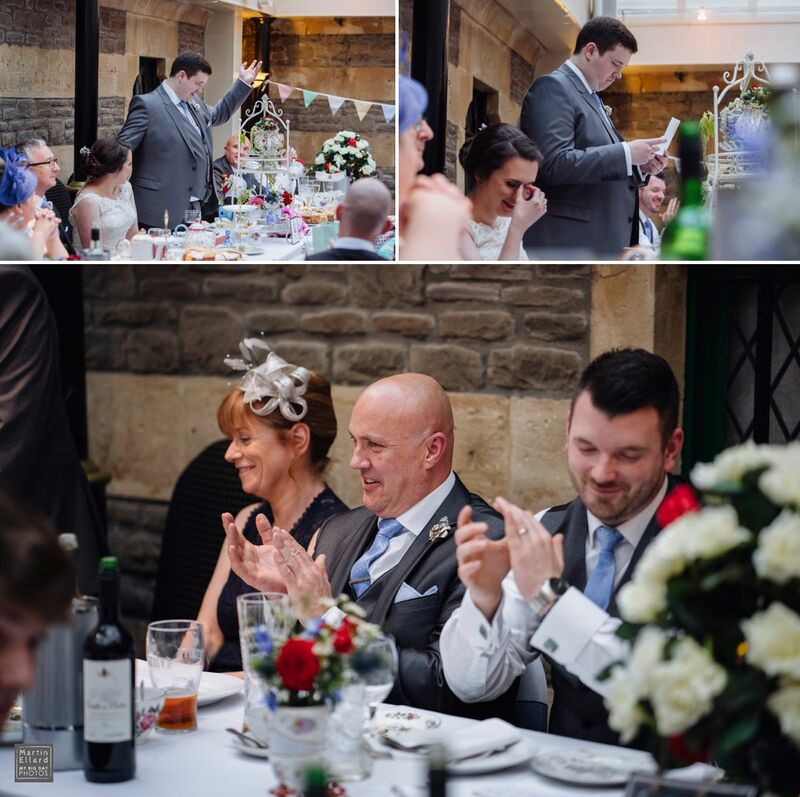 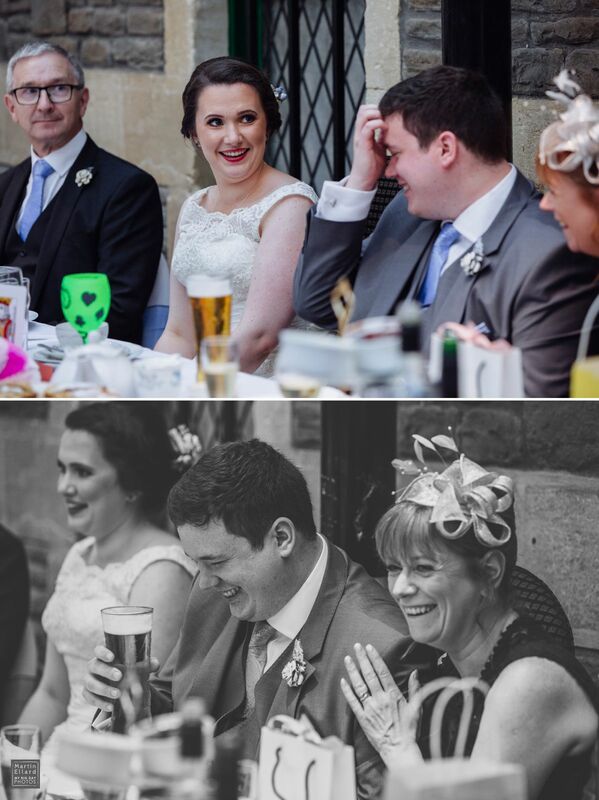 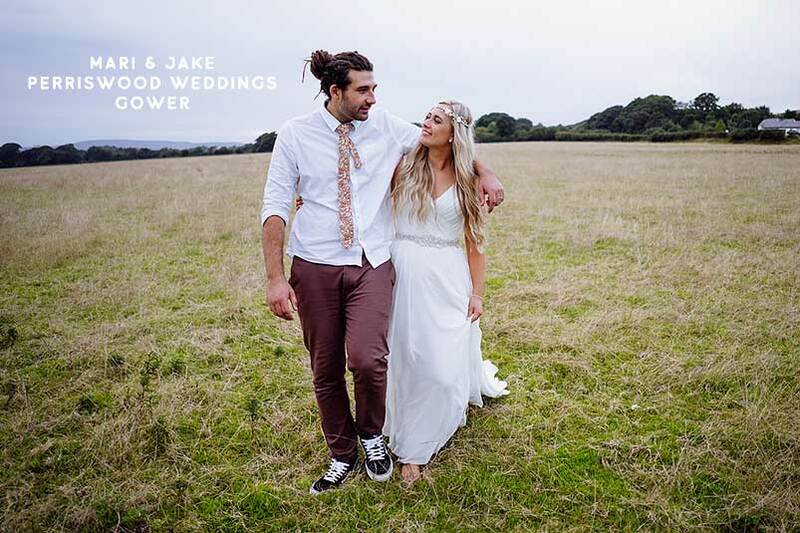 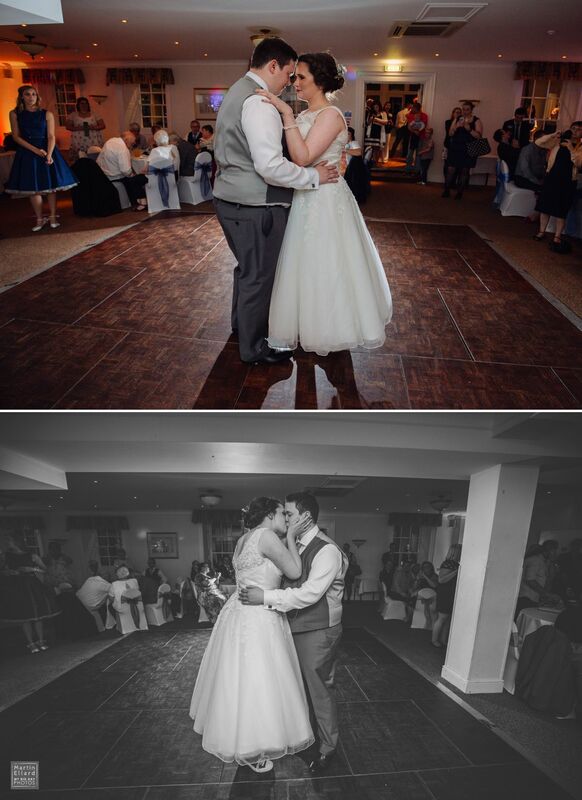 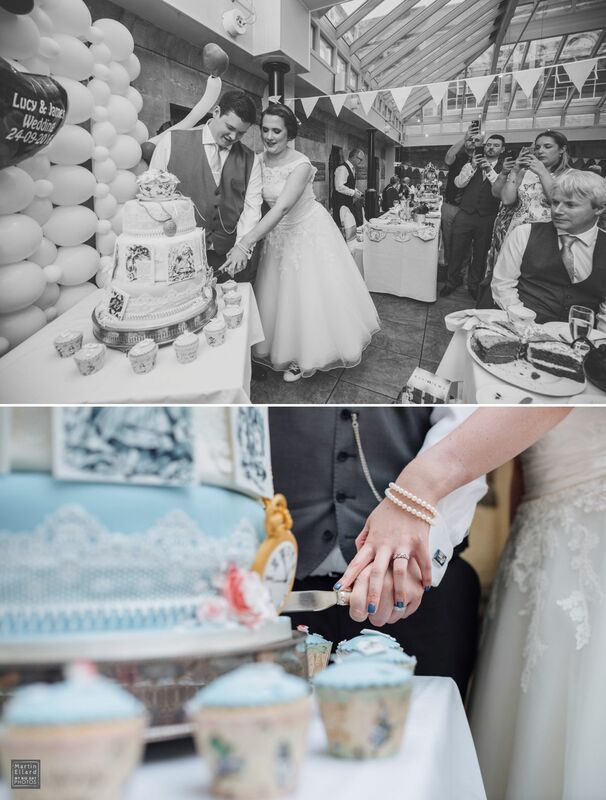 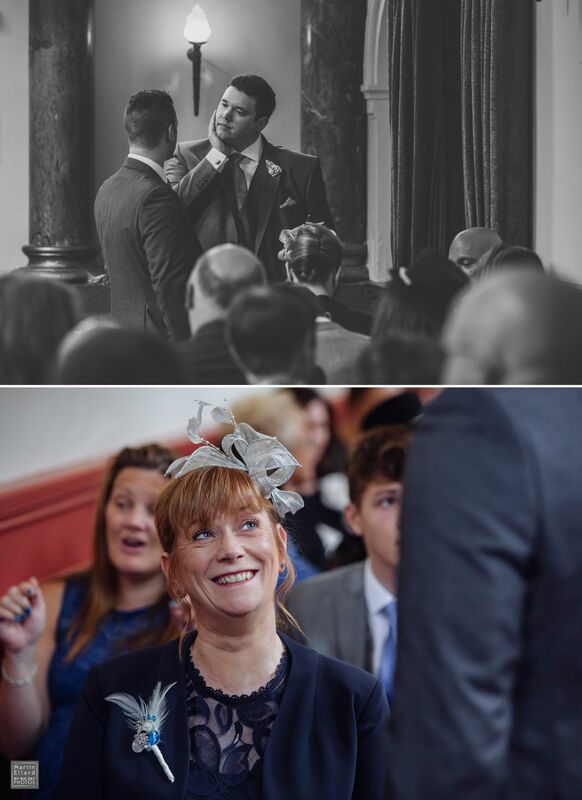 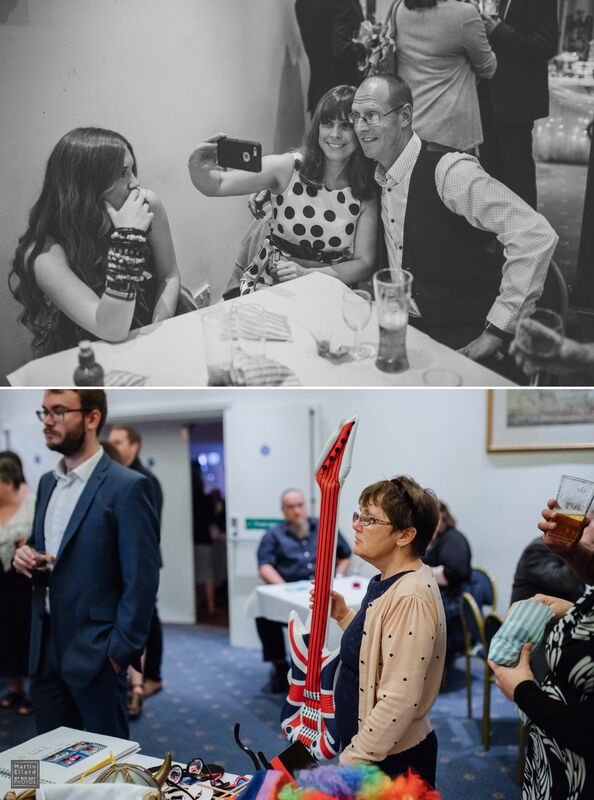 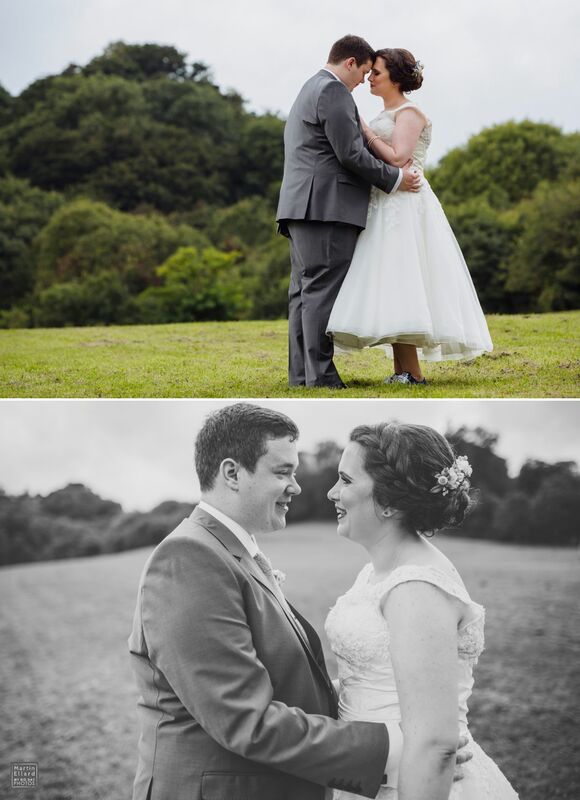 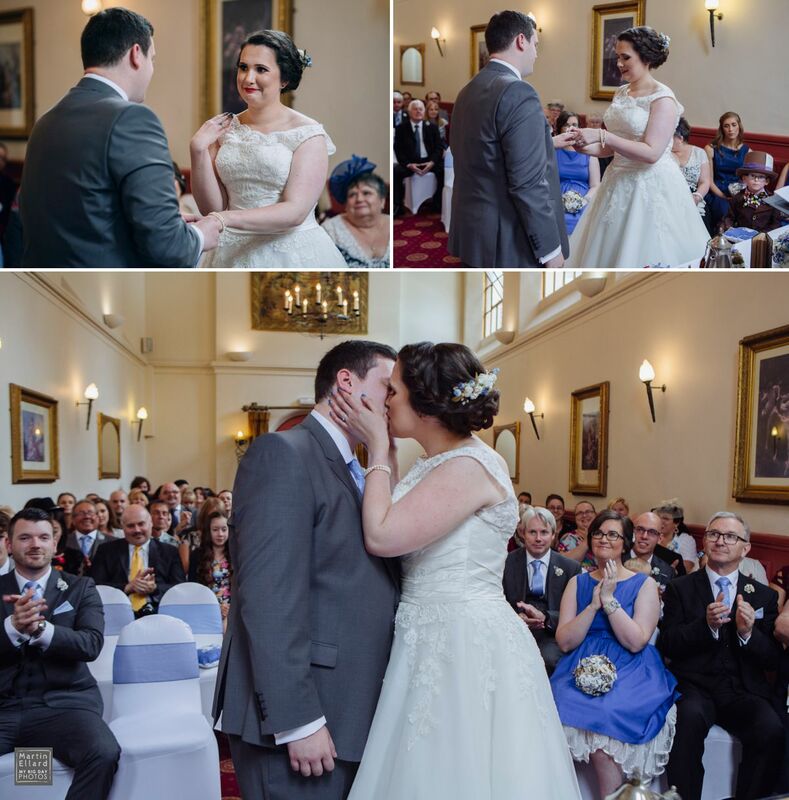 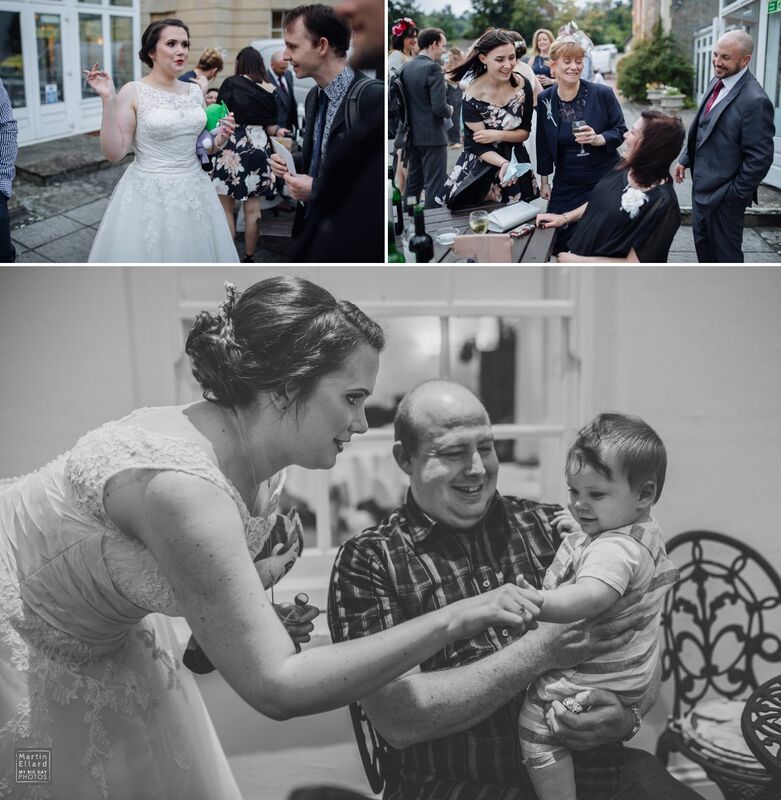 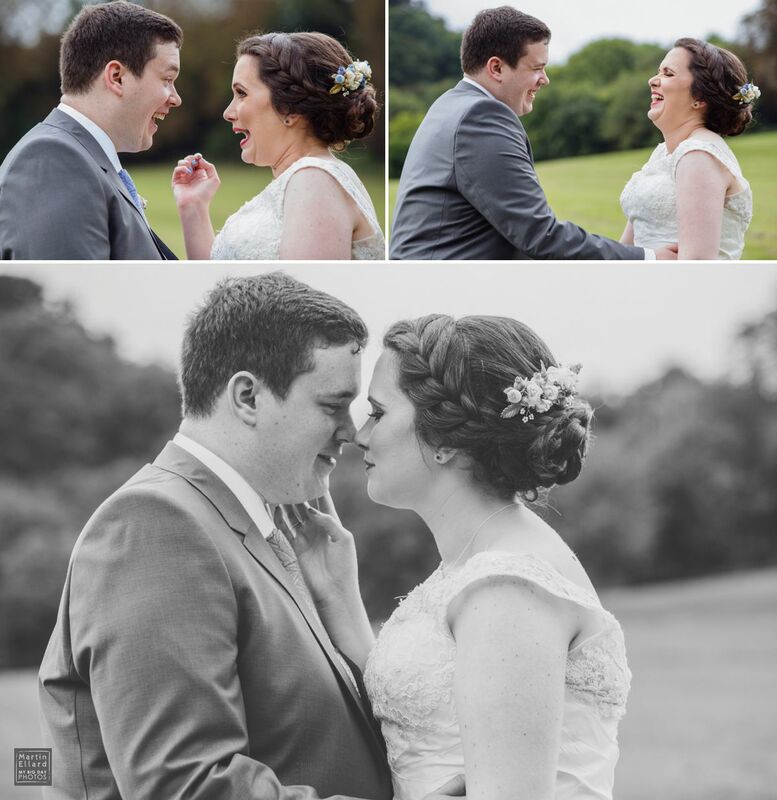 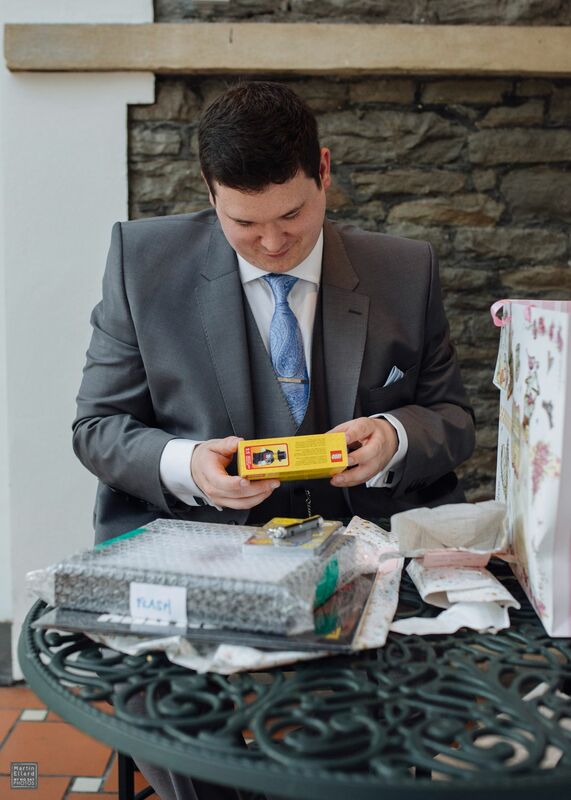 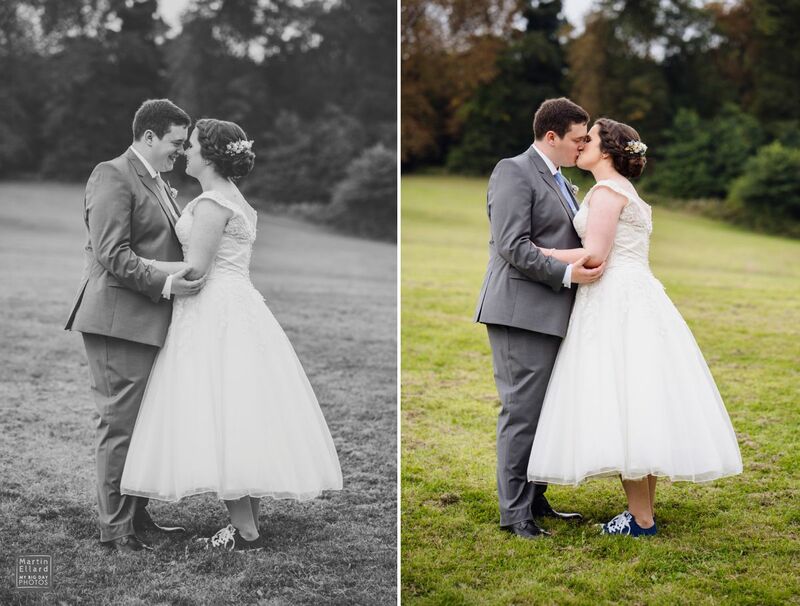 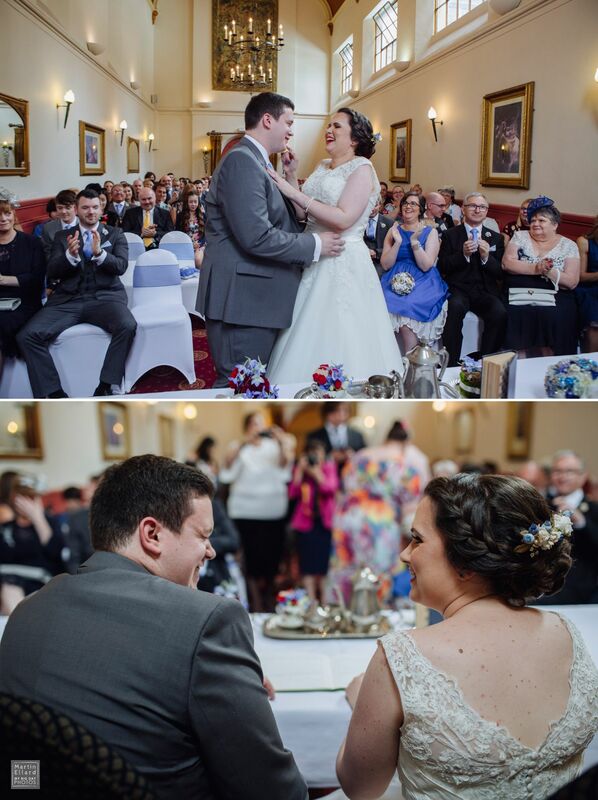 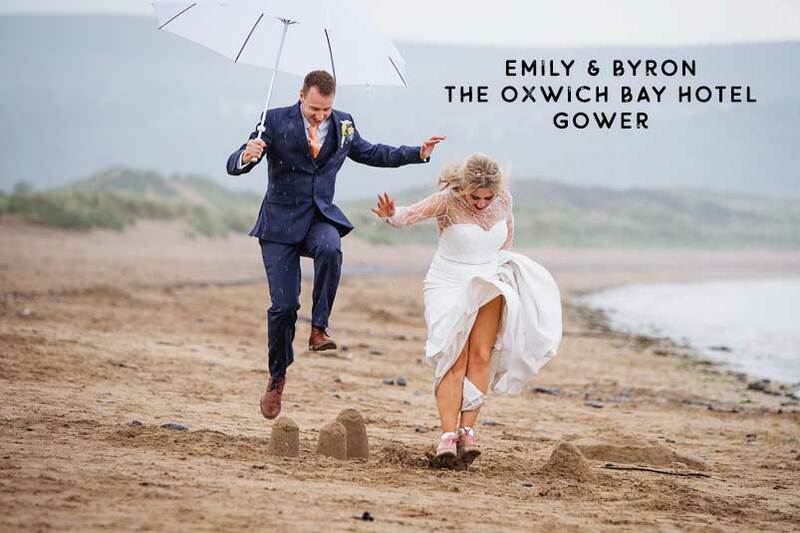 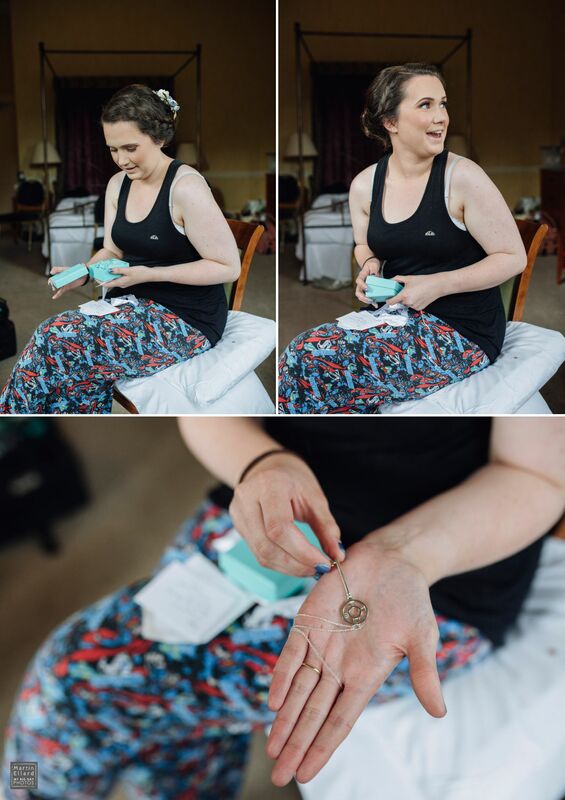 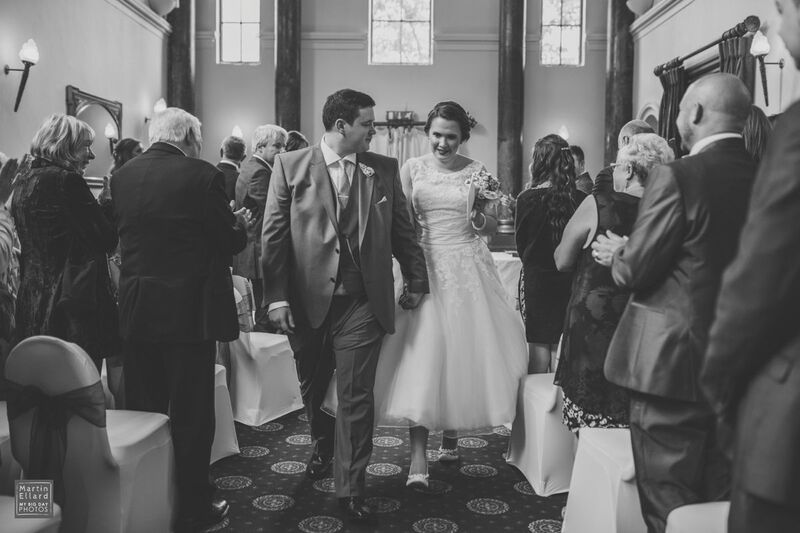 I met Lucy and James just over two years ago at a wedding fayre in Bristol, we clicked straight away and I knew it was going to be an unusual wedding and a lot of fun. 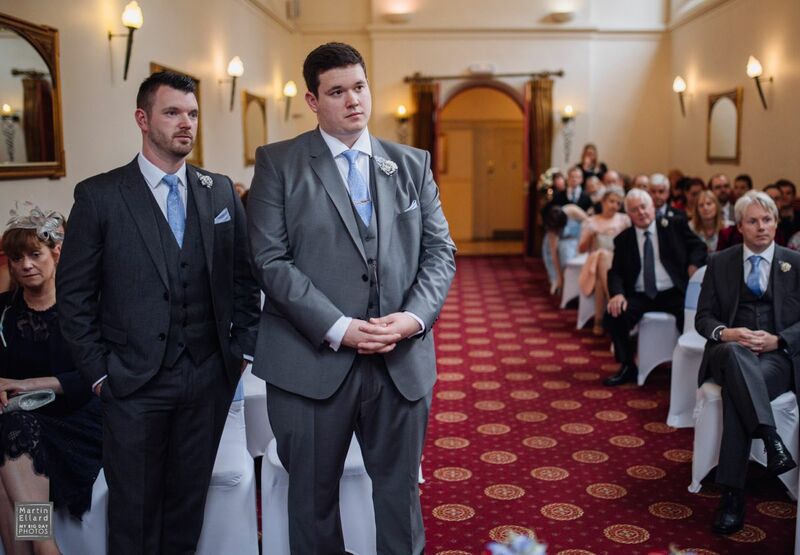 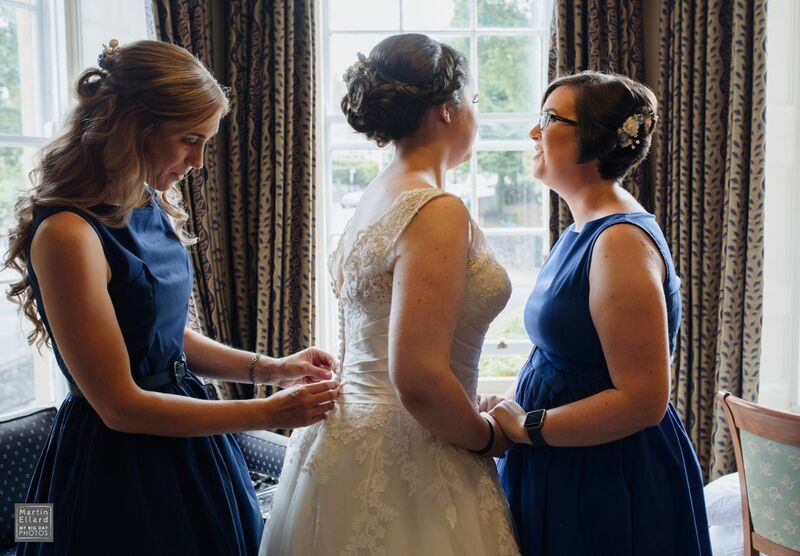 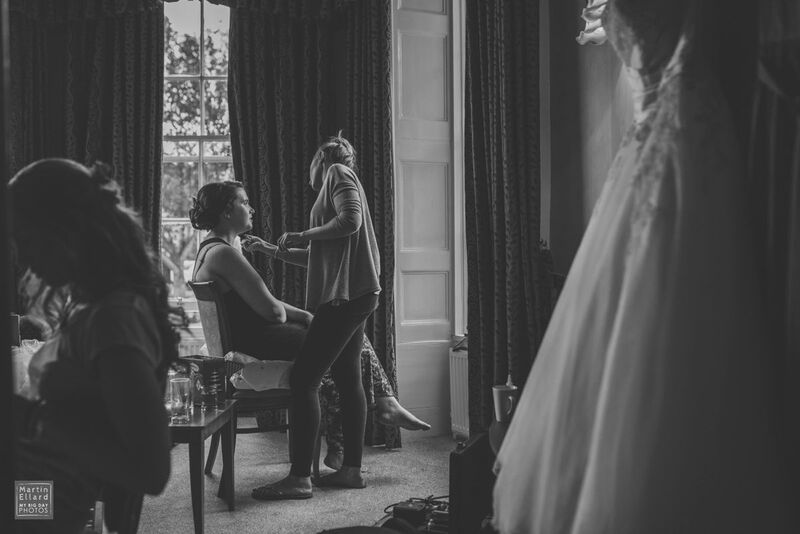 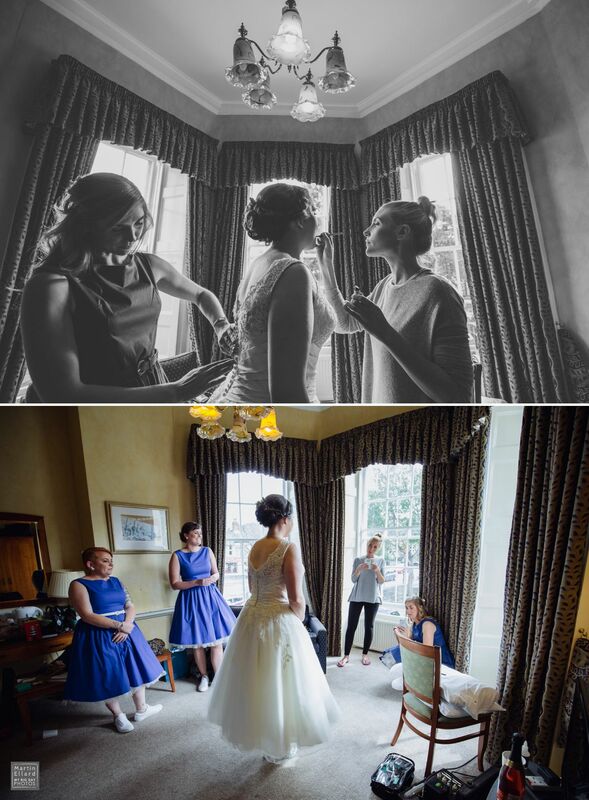 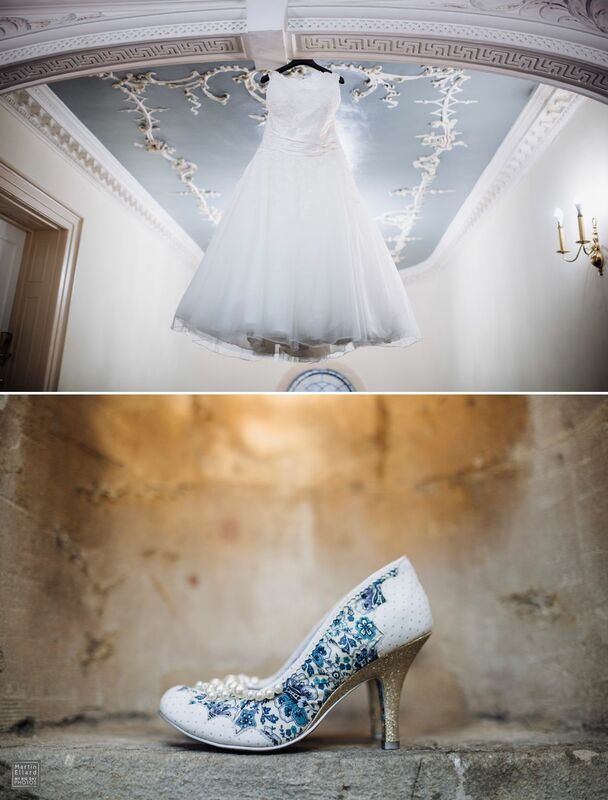 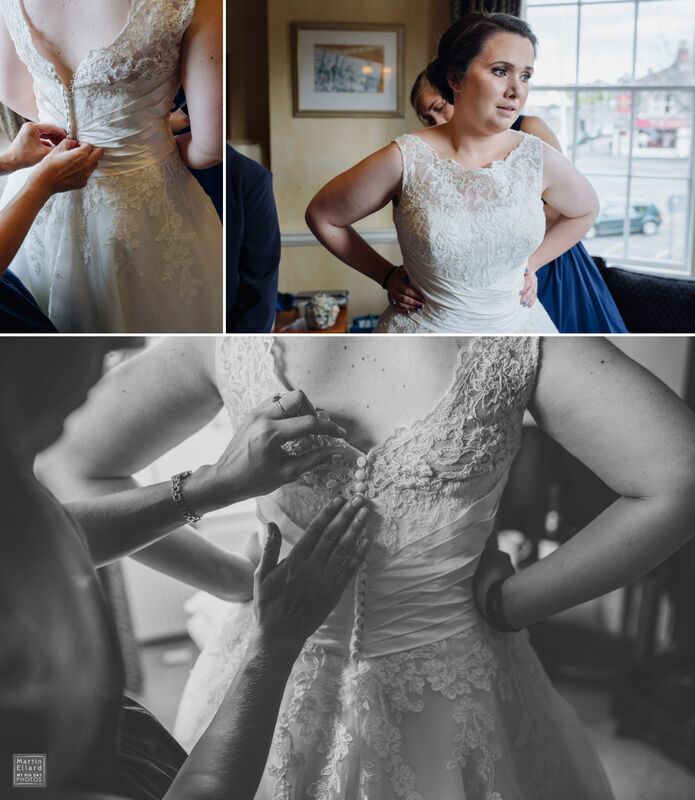 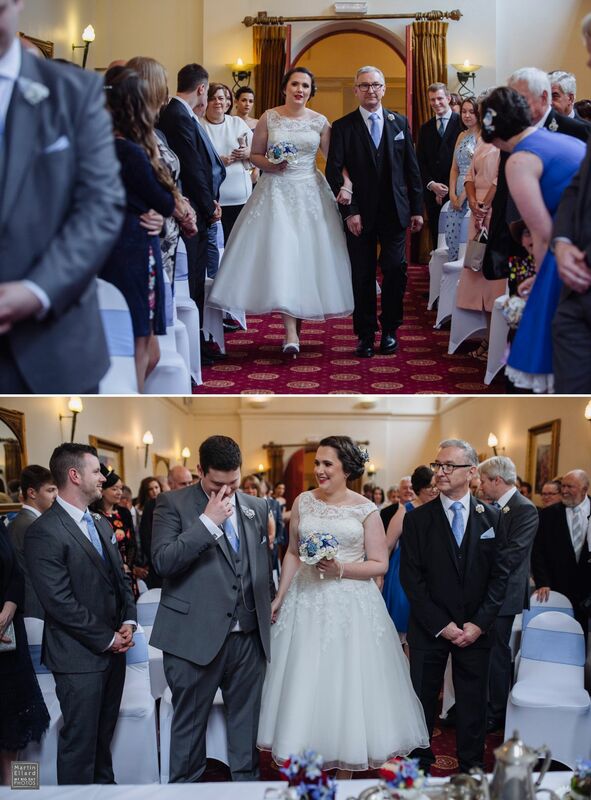 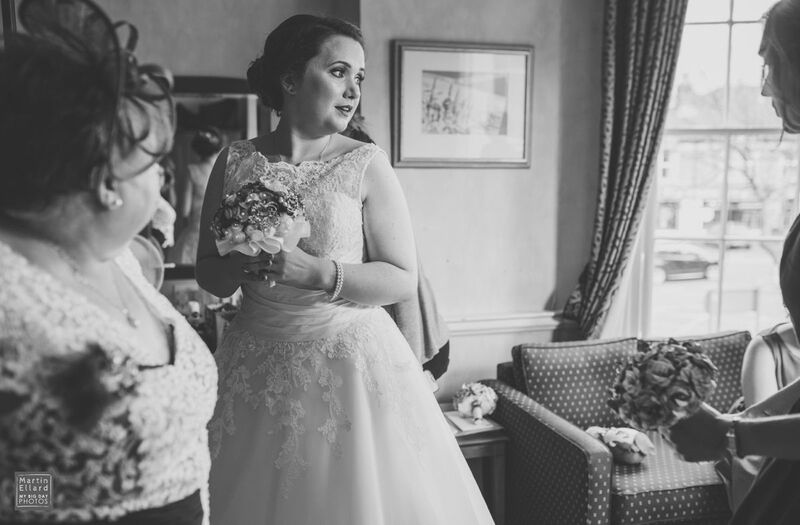 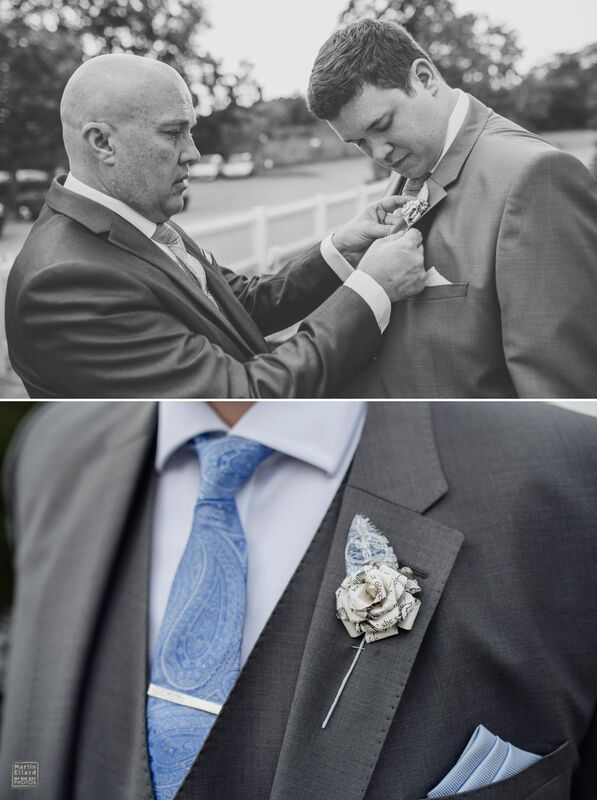 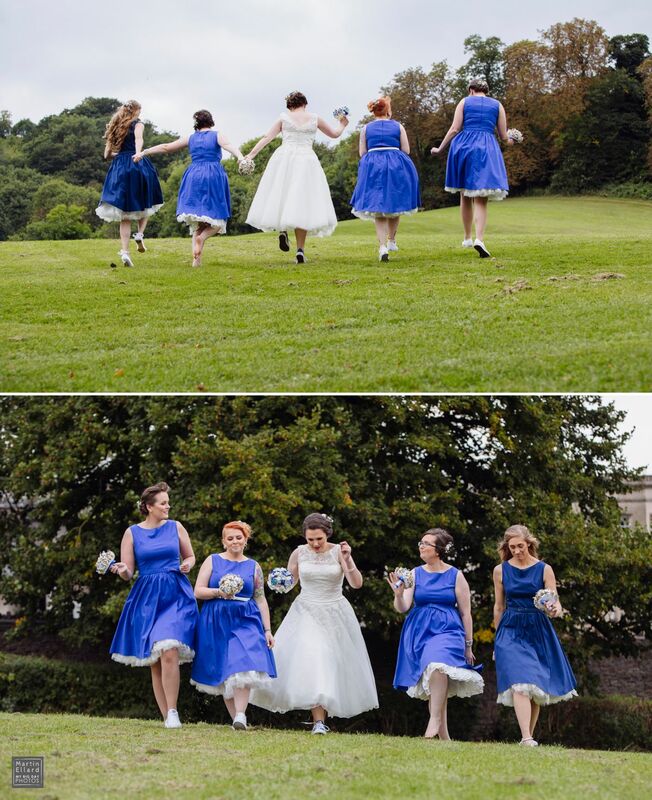 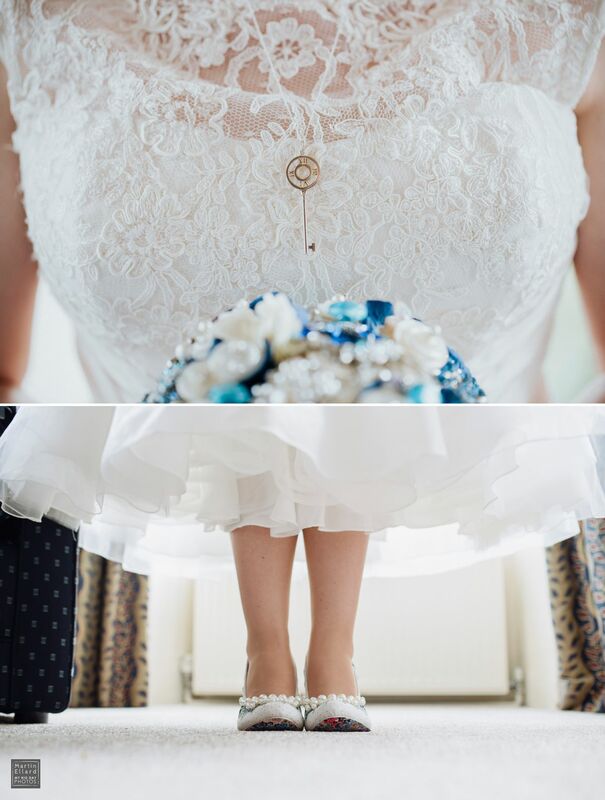 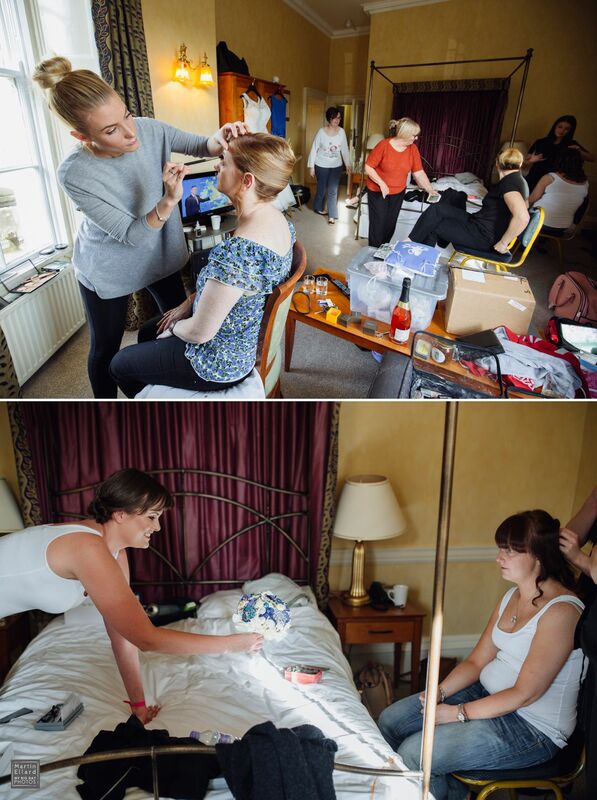 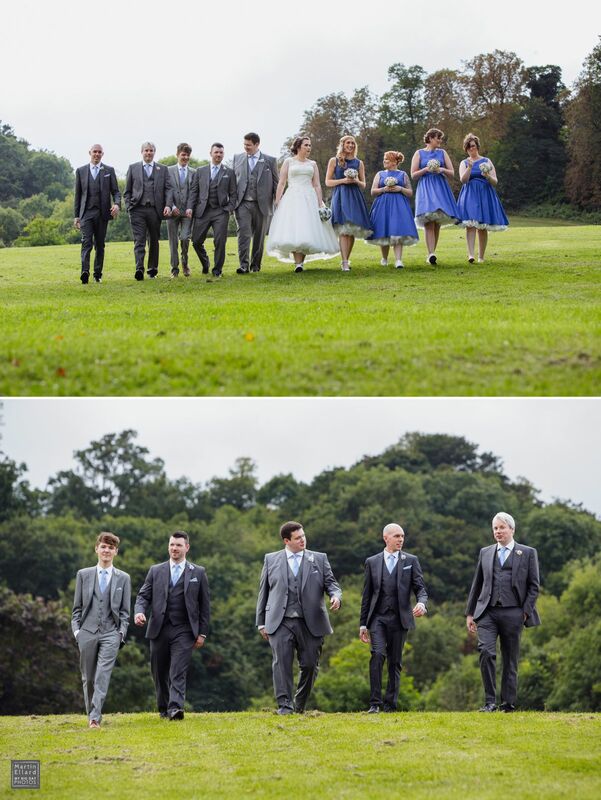 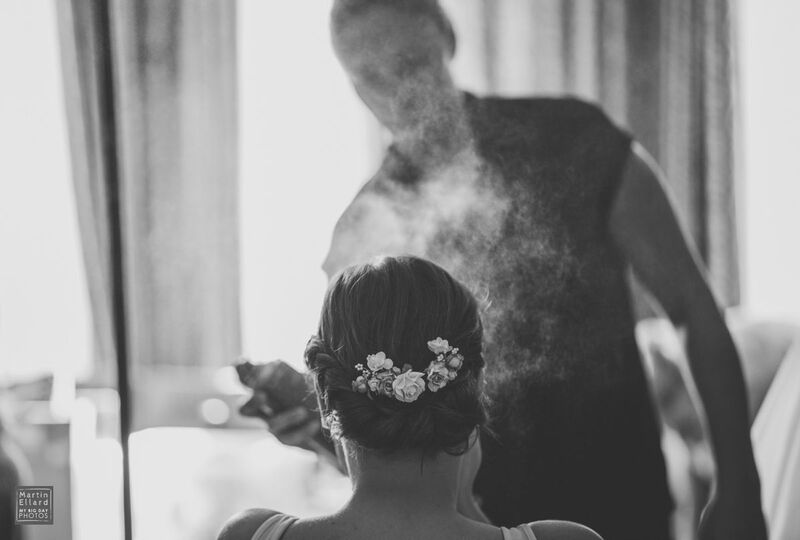 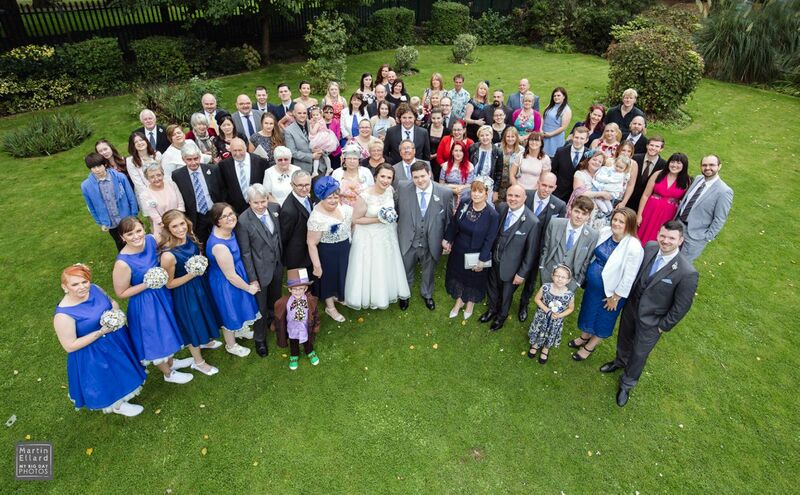 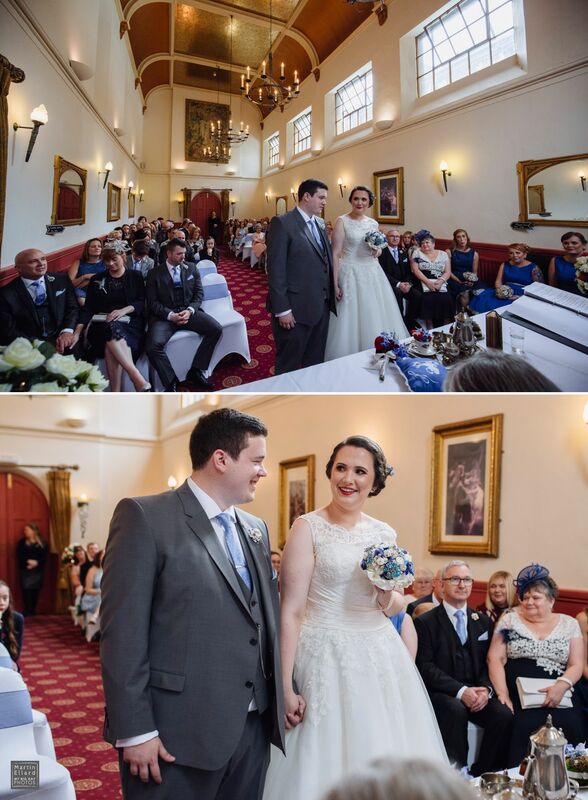 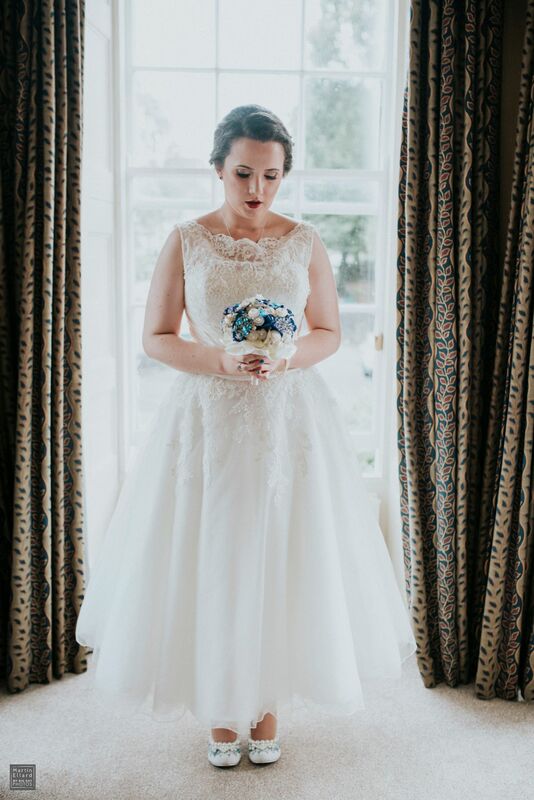 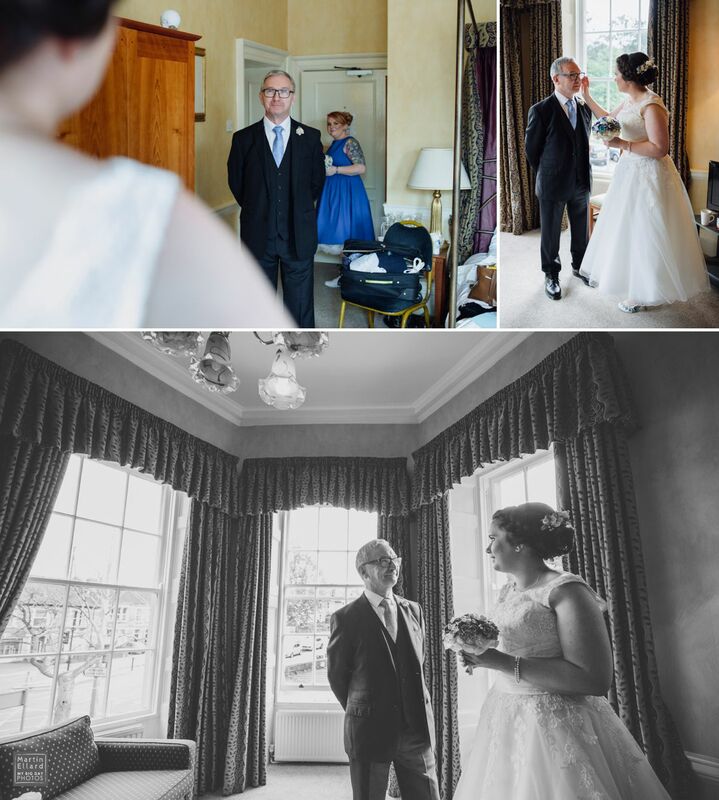 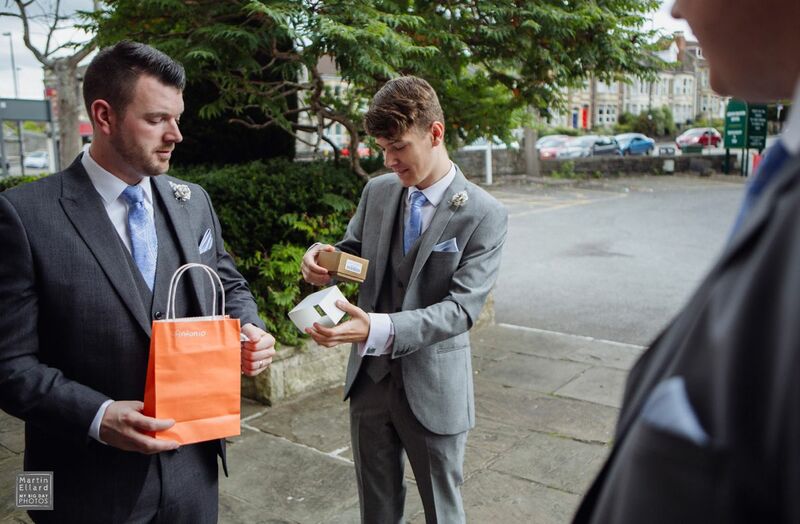 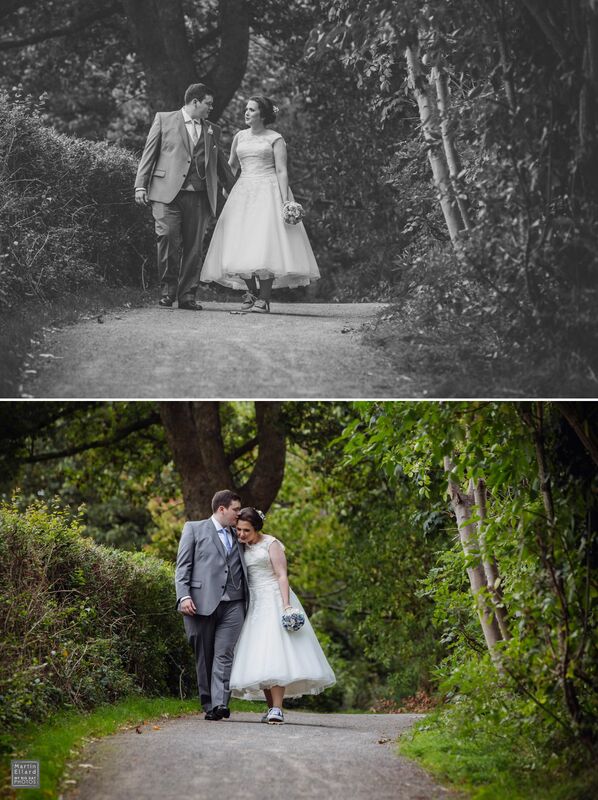 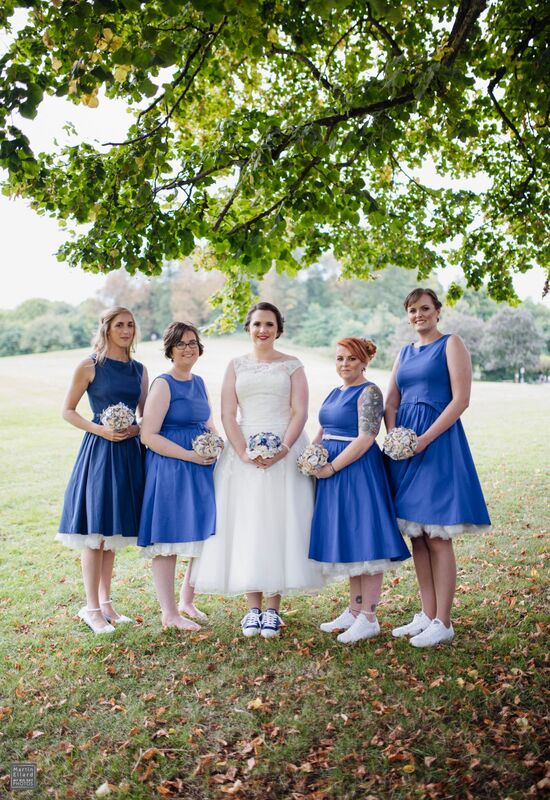 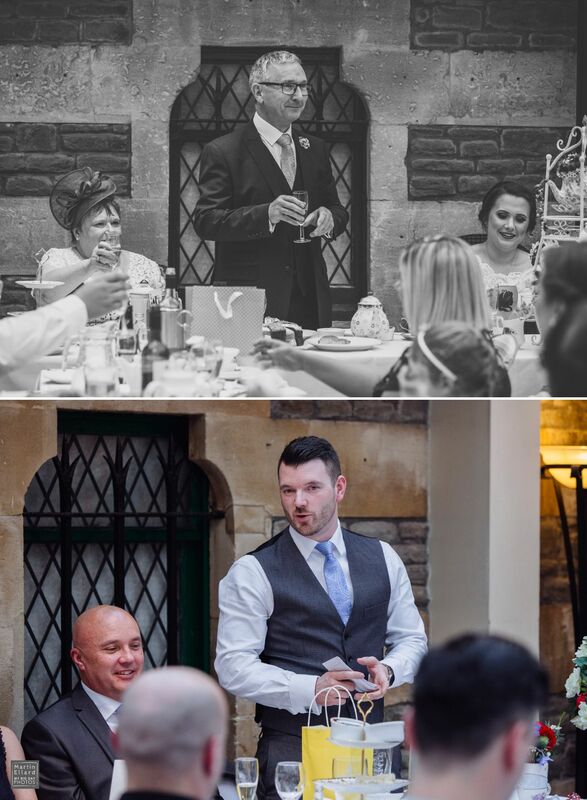 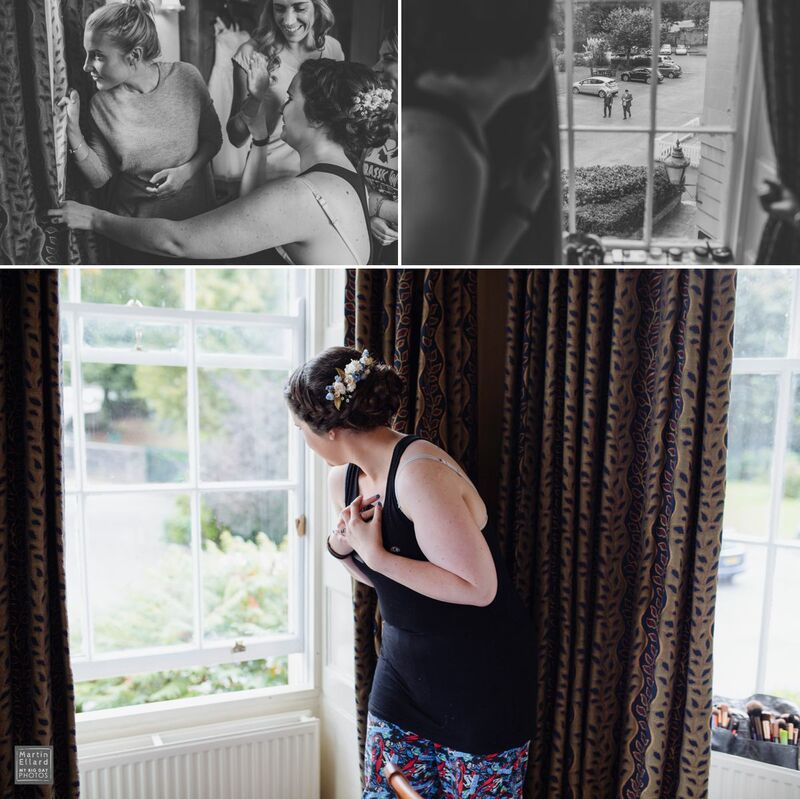 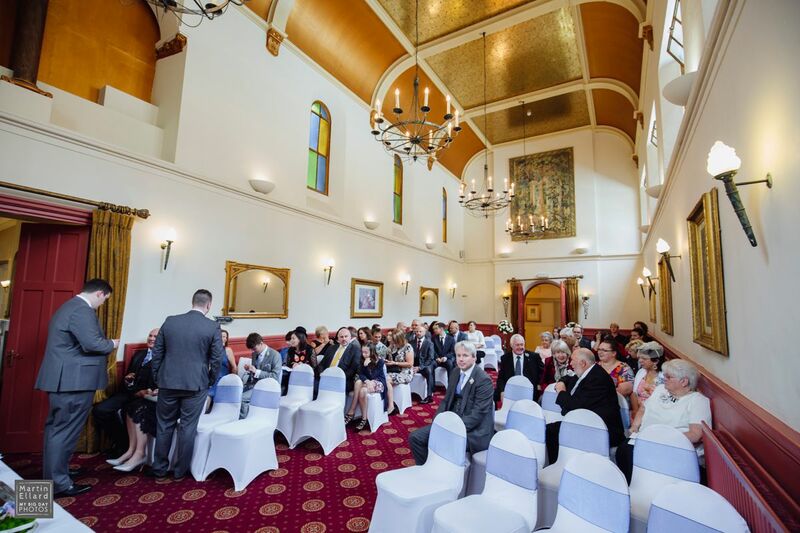 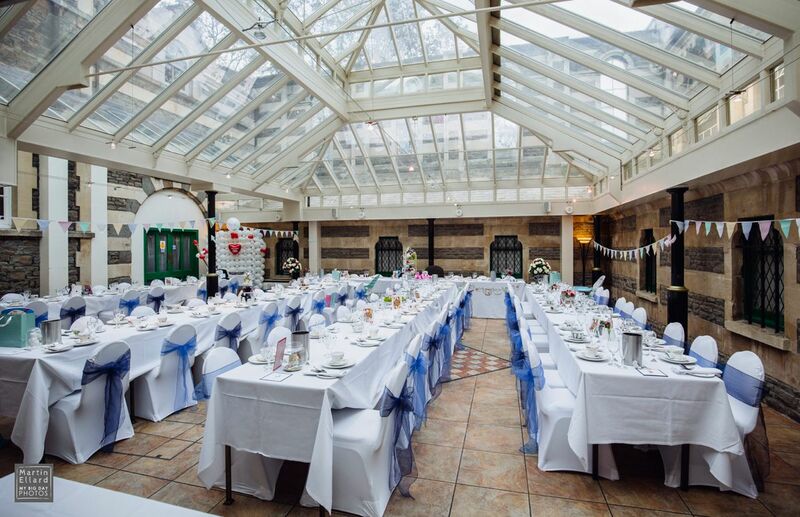 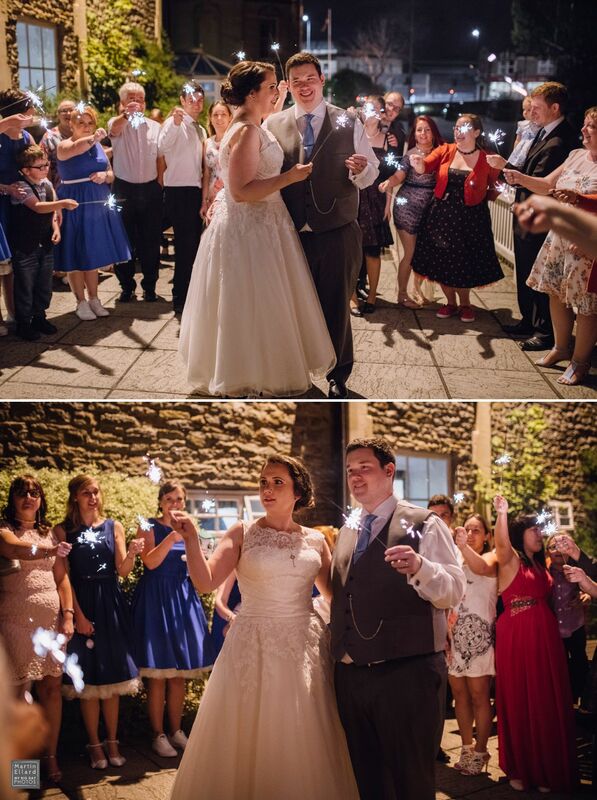 The venue was the Arnos Manor Hotel in Bristol, Lucy and her bridesmaids got ready there and James arrived later. 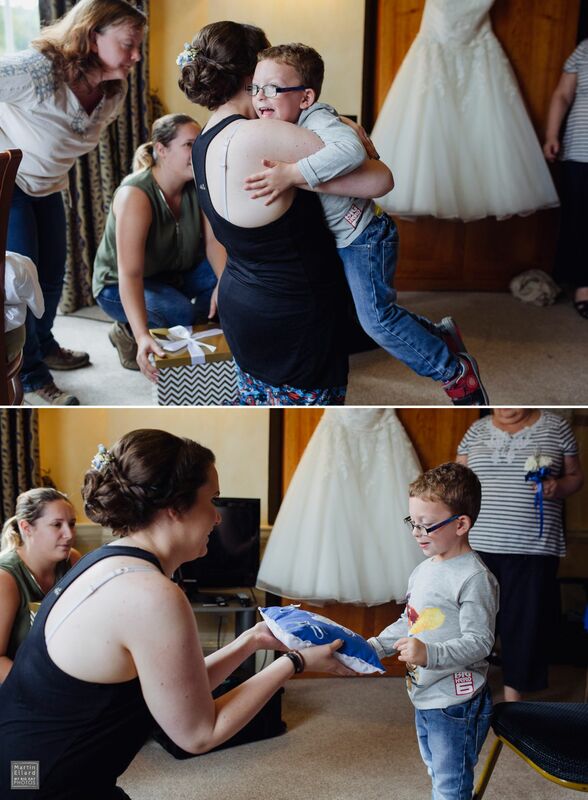 It was a very emotional morning and Lucy’s sister was a rock of support for Lucy’s nerves. 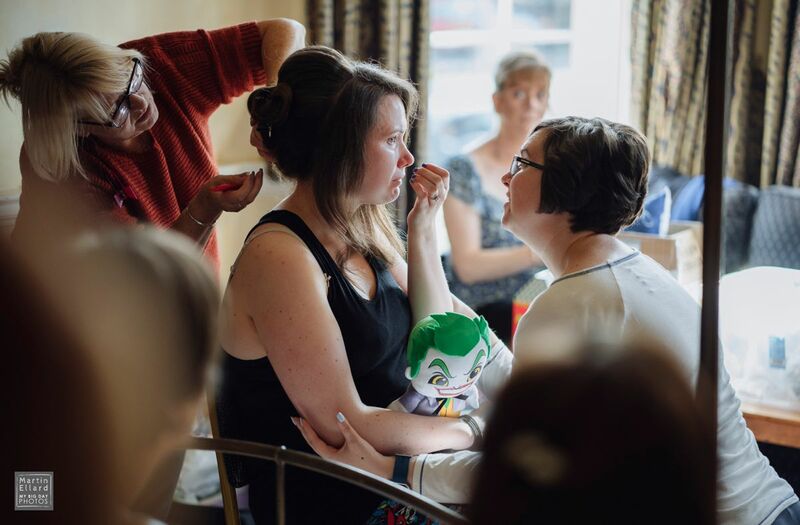 The day before Lucy had won a “joker” soft toy and they had become quite attached, so he made a few appearances through the day. 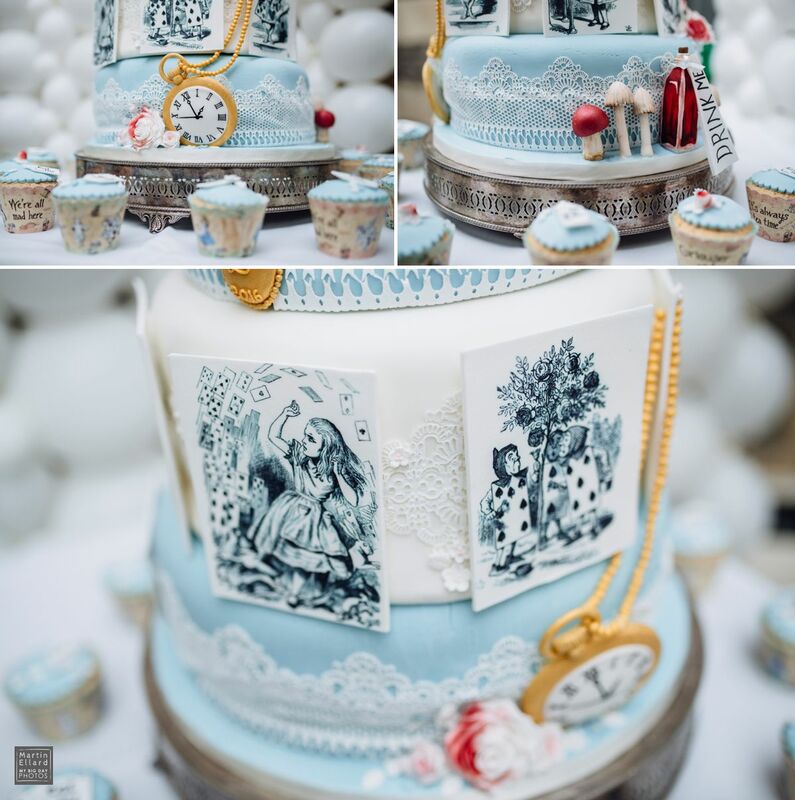 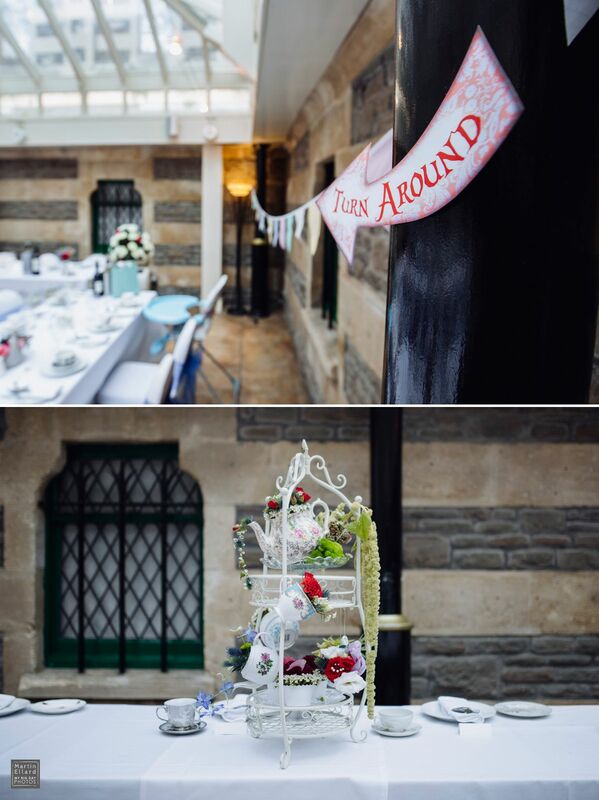 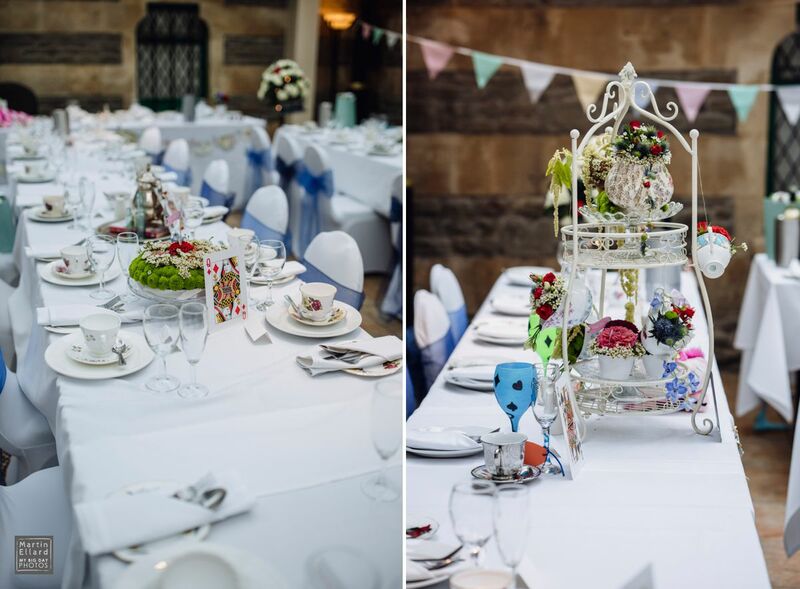 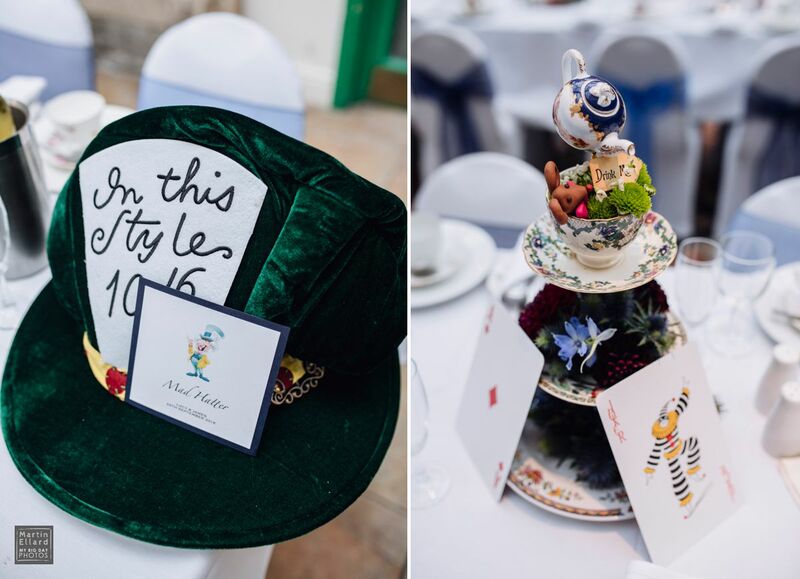 The wedding had an Alice in Wonderland theme and that is why this is such a big blog post, because there are a LOT of pictures of the details and decoration….it was amazing. 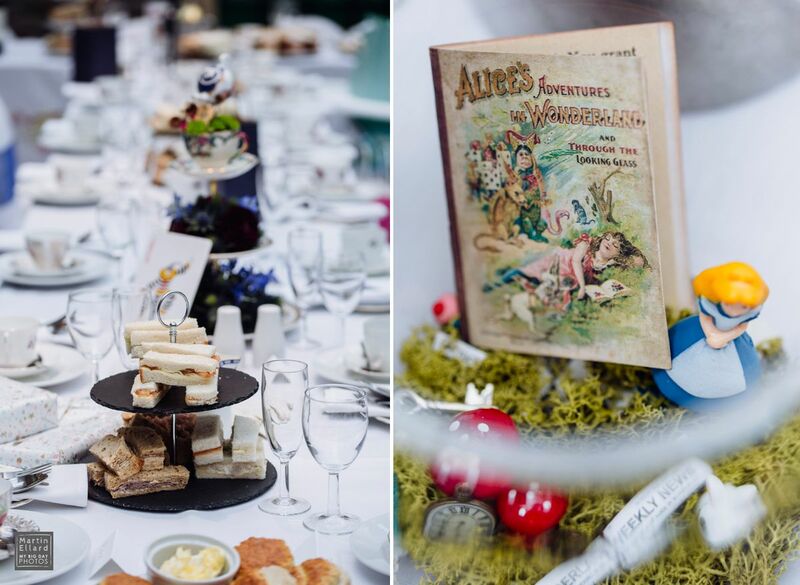 It seemed like Lucy had found every old copy of the book in the UK !! 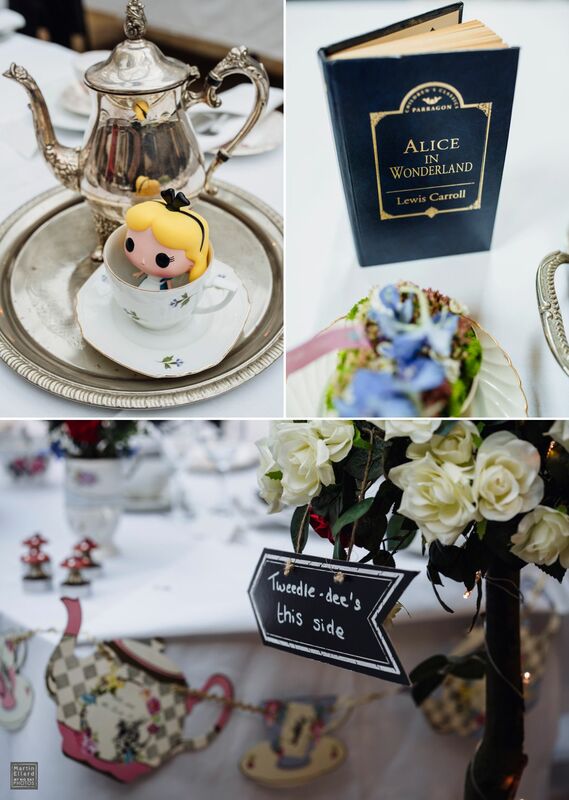 every table had tiny details that made you look….and look again only to find something new. 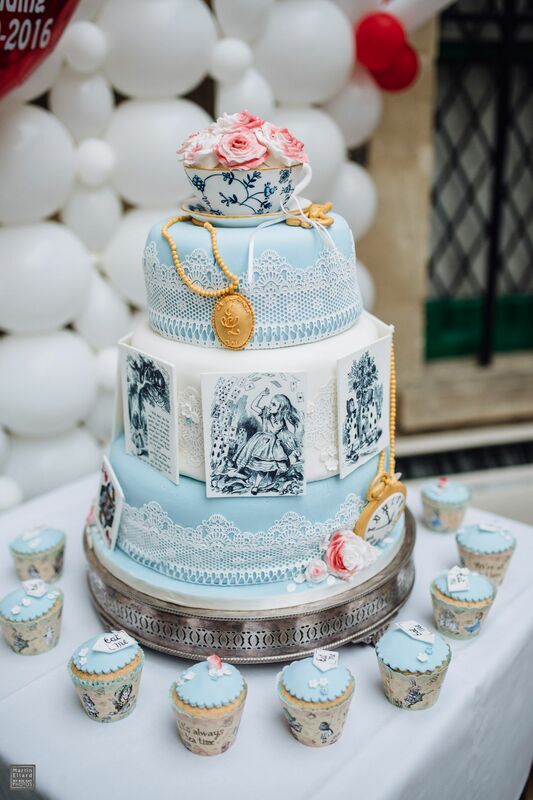 And the cake !! 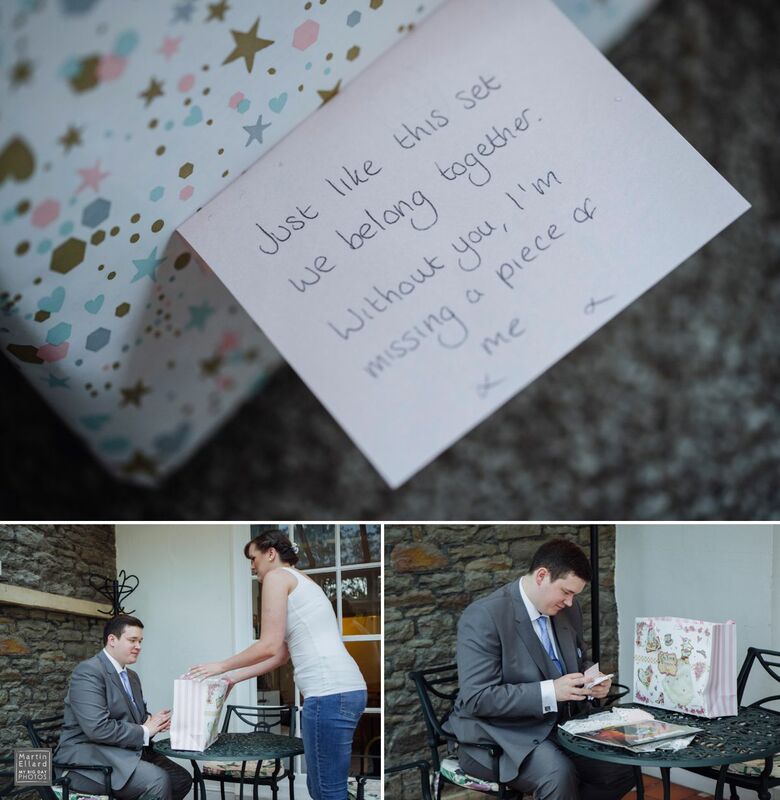 well you have to take a look for yourself. 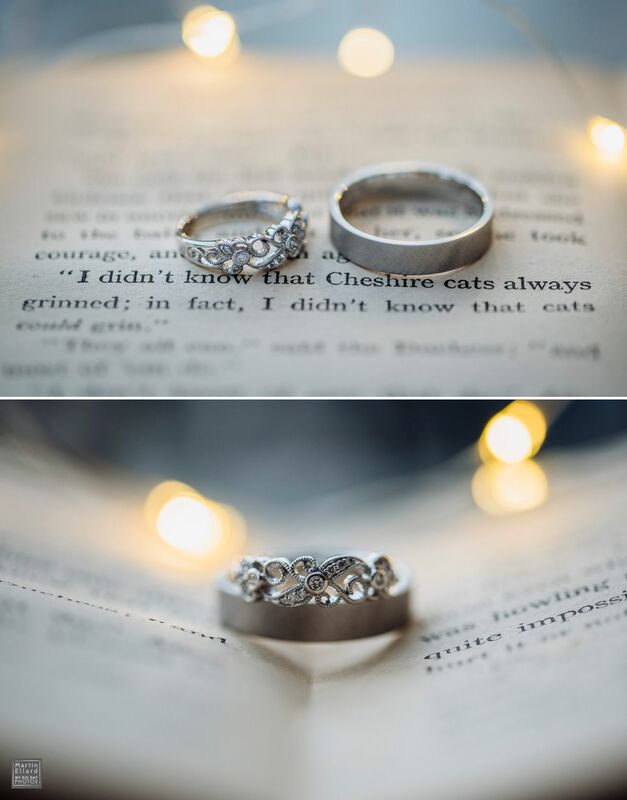 Lucy is known to her friends as the Cheshire Cat and when I photographed the wedding rings I used one of the old books and it happened to fall open on a page with the most perfect quote for her. 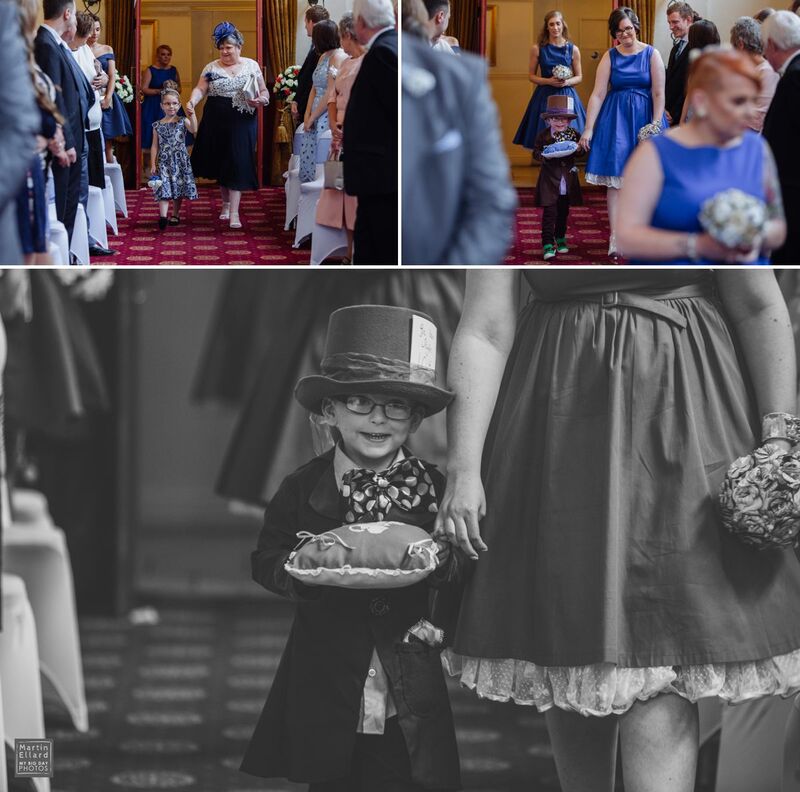 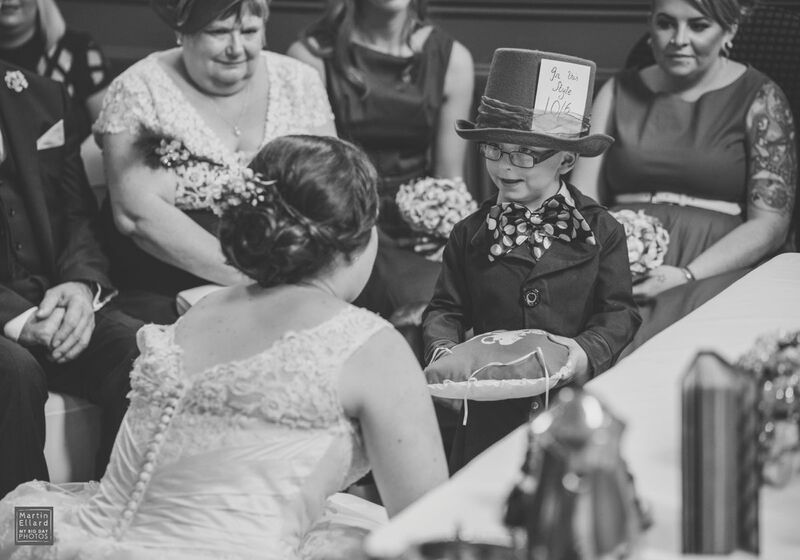 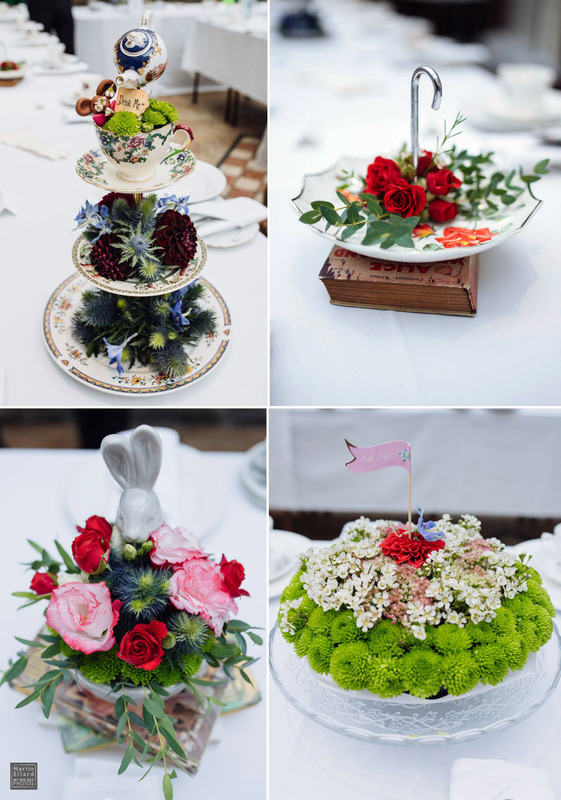 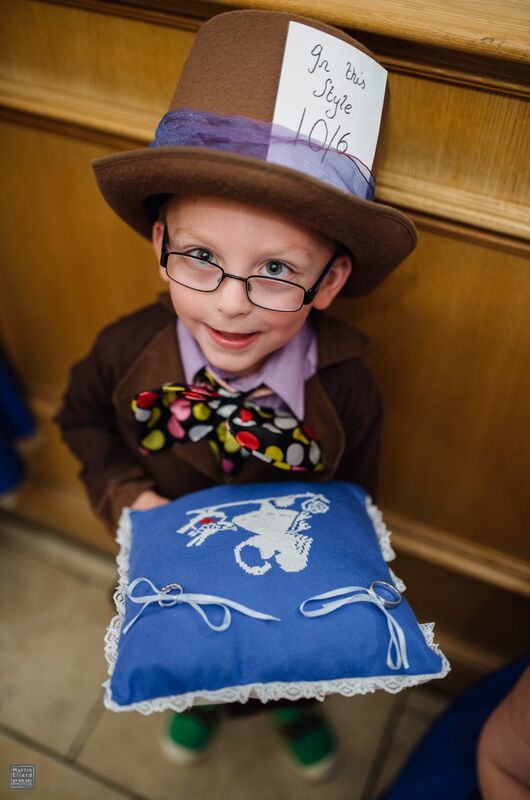 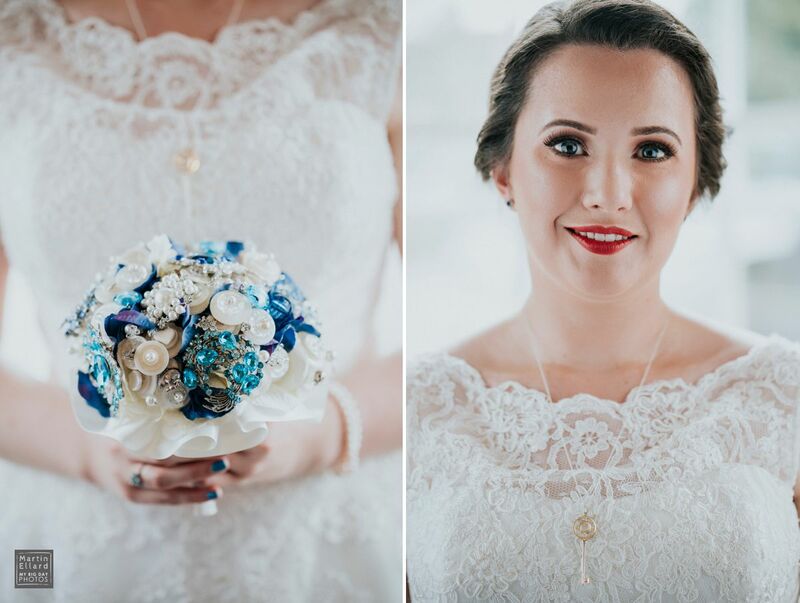 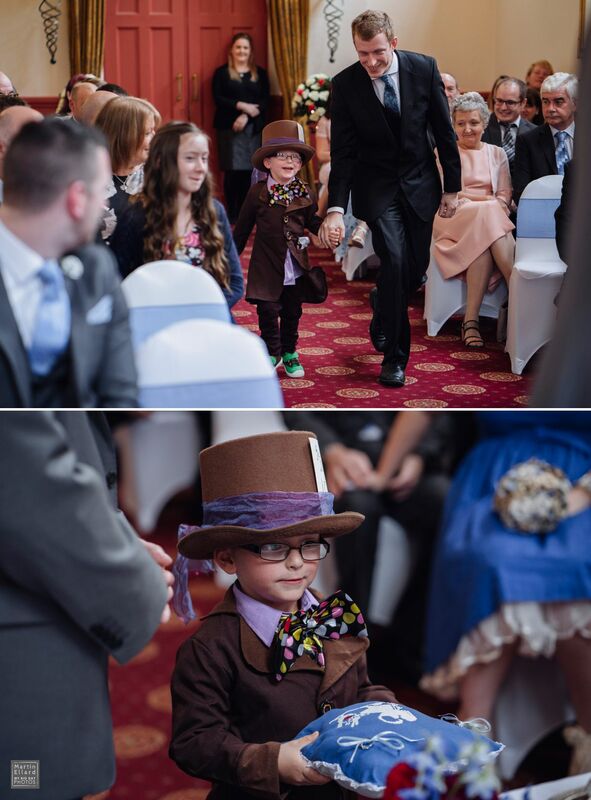 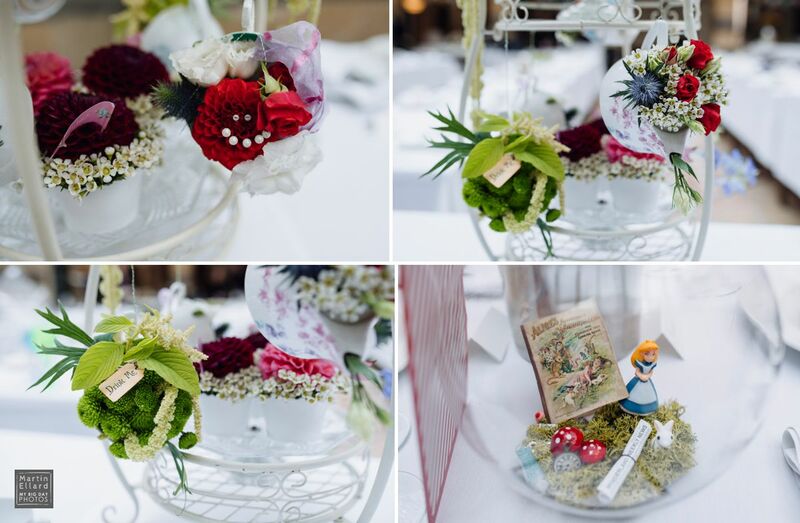 Lucy’s pageboy was a miniature Mad Hatter, the bridesmaids bouquets were hand crafted from pages from Alice in Wonderland and Lucy’s was made from beads and buttons. 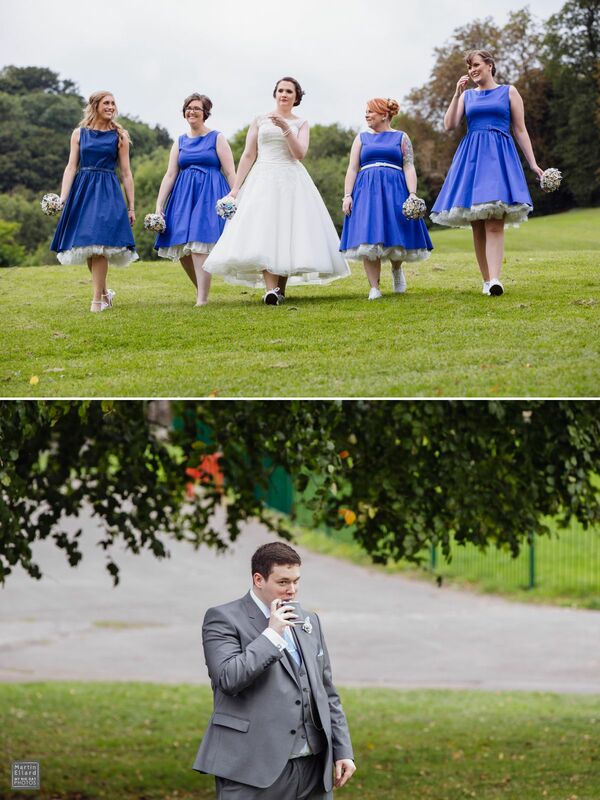 After the ceremony I took the bridal party to the large park next to the venue and after some group shots we were left along to shoot Lucy and James’s photos. 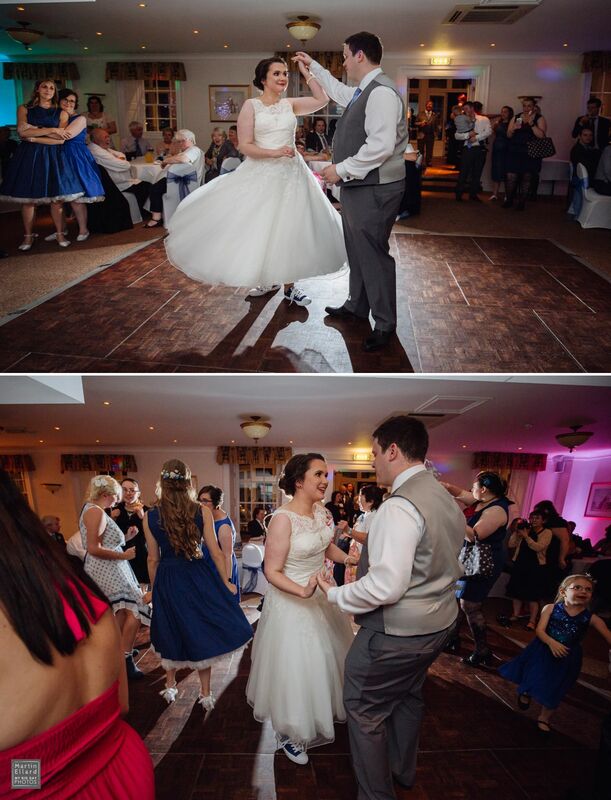 They are such a fun pair to be around and James had clearly forgotten about his camera worries with the distraction of his beautiful bride. 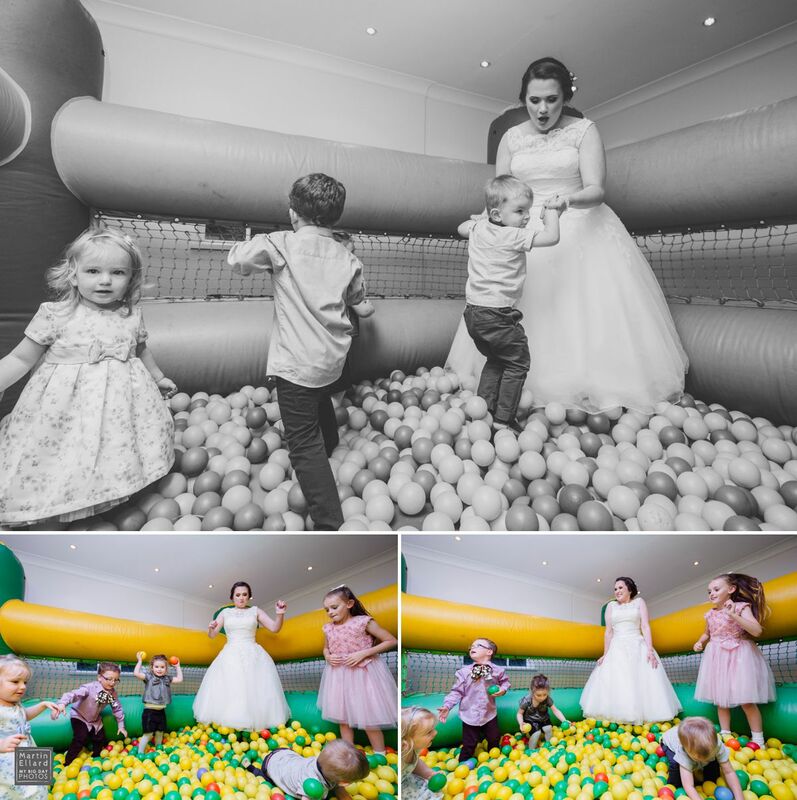 One of the things Lucy just could not wait for throughout the whole day, was the bouncy castle !! 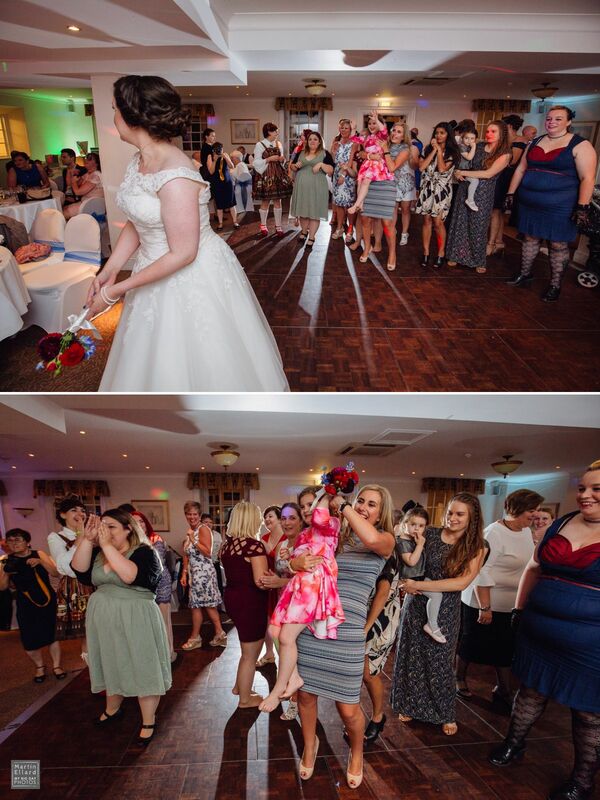 yep, she was straight on it the moment it opened. 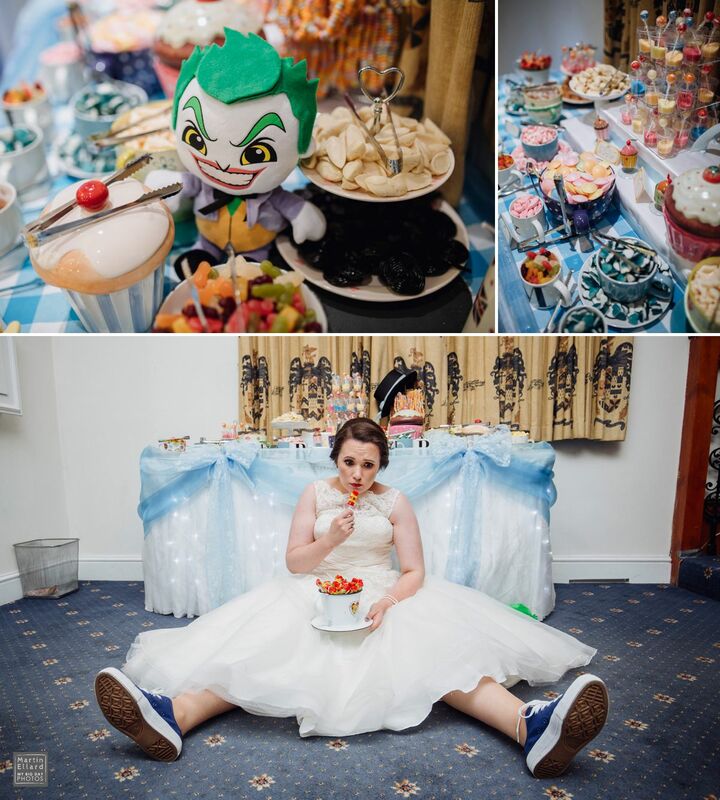 She also loved the sweet trolley and asked if I could take a quick picture of her before all the guests dived in. 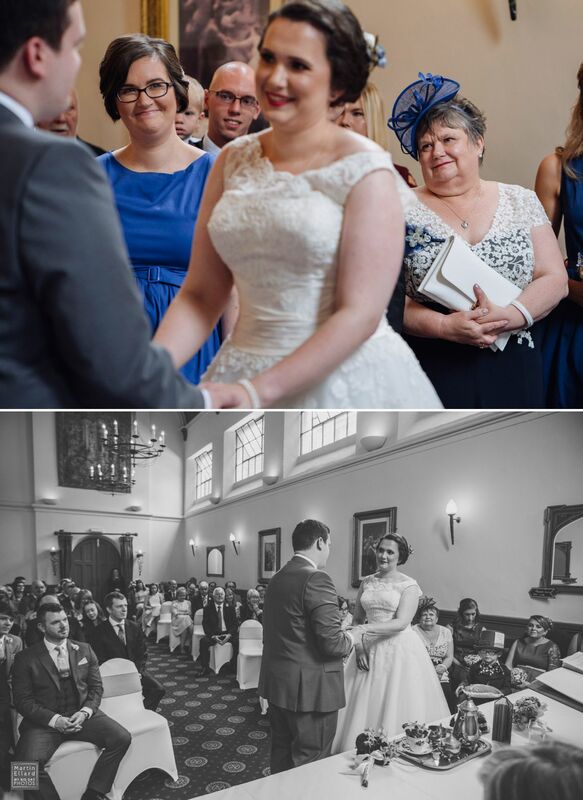 I hope you enjoy looking through Lucy and James’ big day.